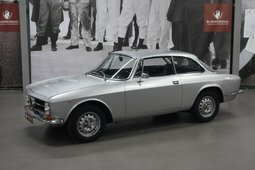 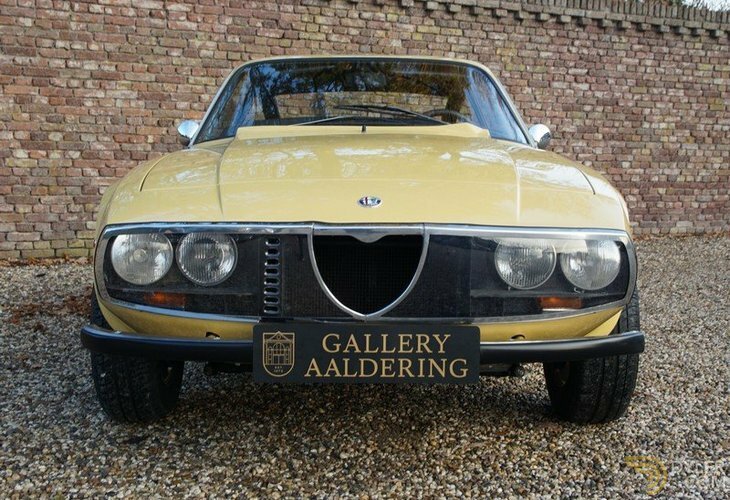 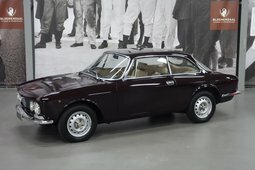 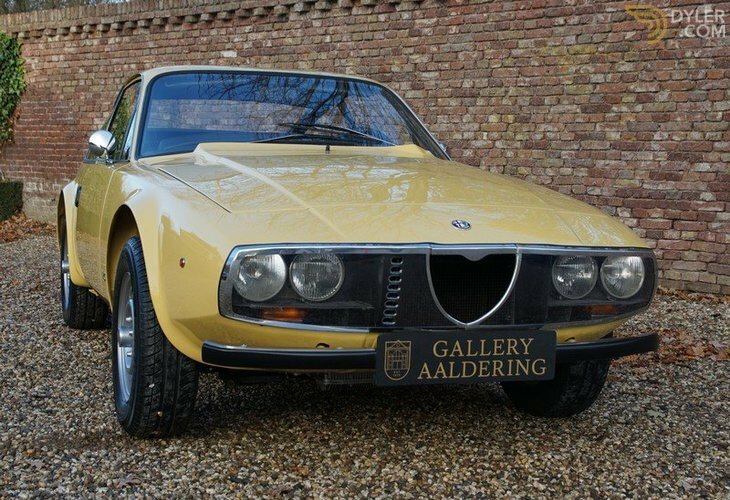 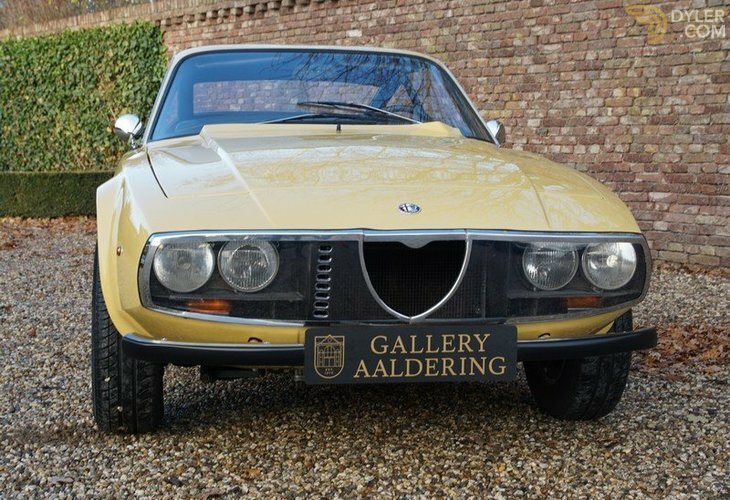 This Alfa Romeo GT 1300 Junior Zagato is a rare example of the limited issue car designed by Ercole Spada, commissioned by Zagato. 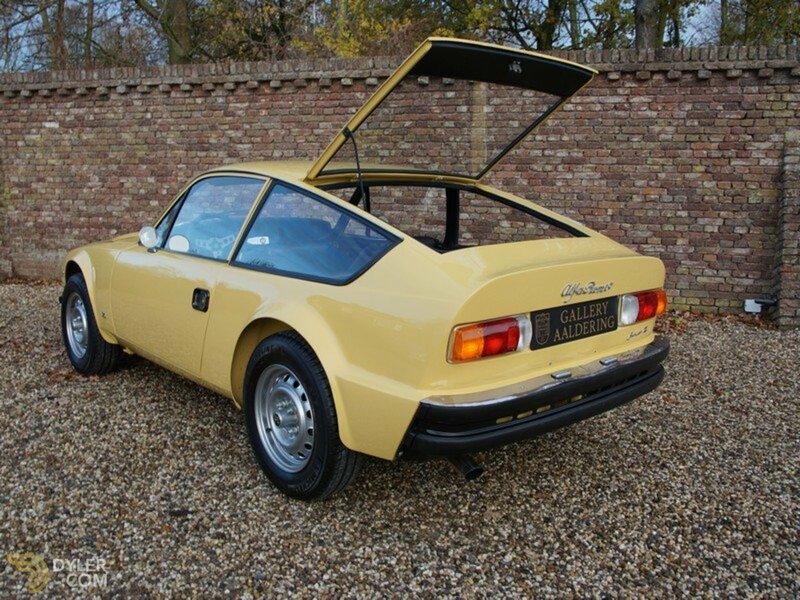 It is an aerodynamic 2-seater coupé with the so-called ‘Kamm Tail Wedge’ shape. 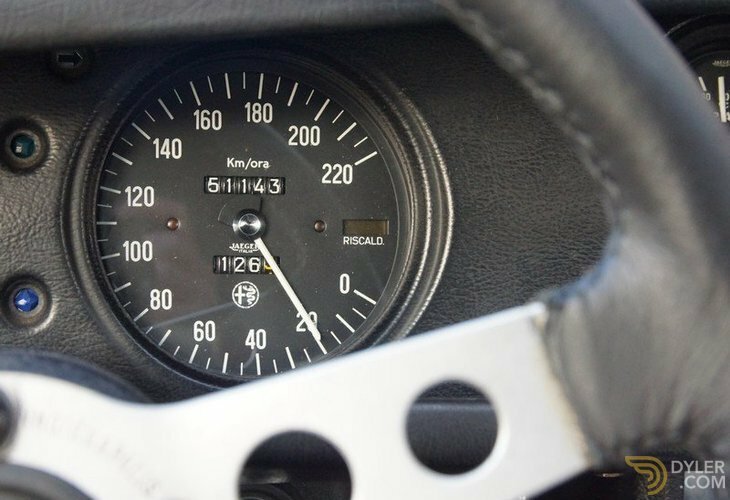 This configuration enhances the aerodynamic characteristics; enabling a top speed of 185 km/hr. 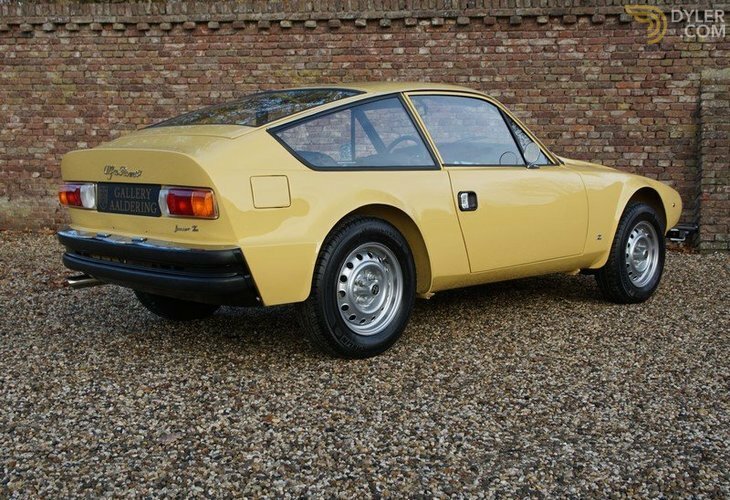 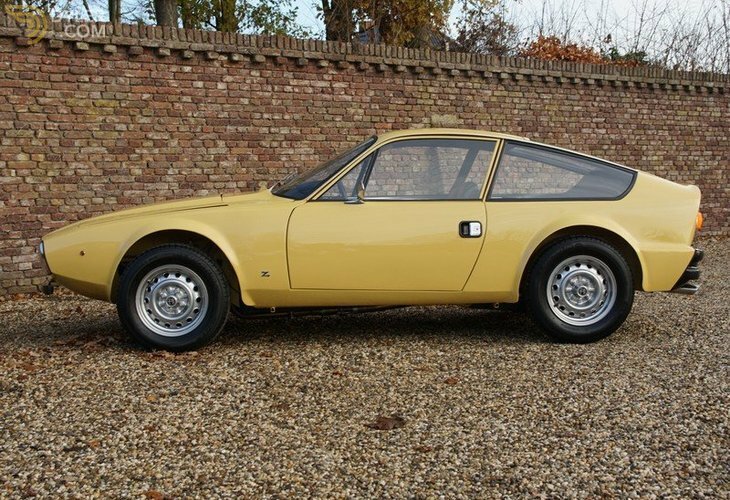 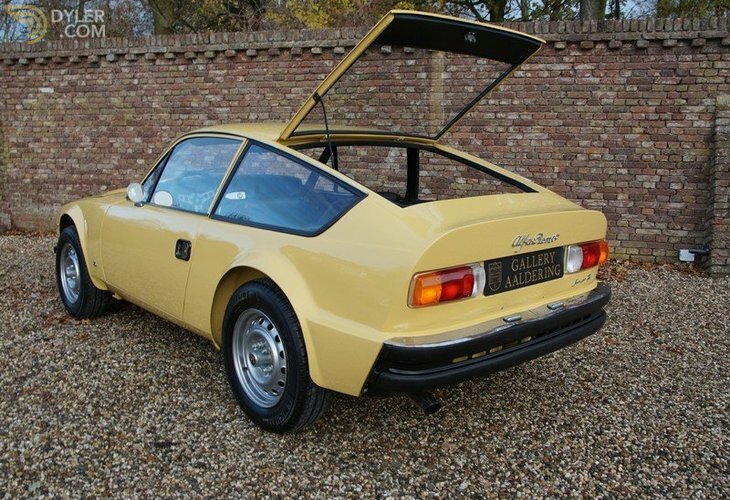 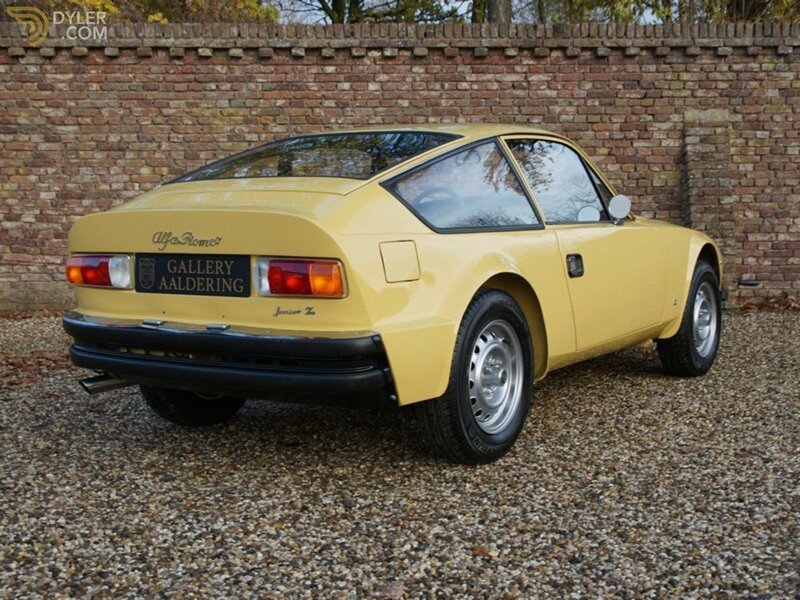 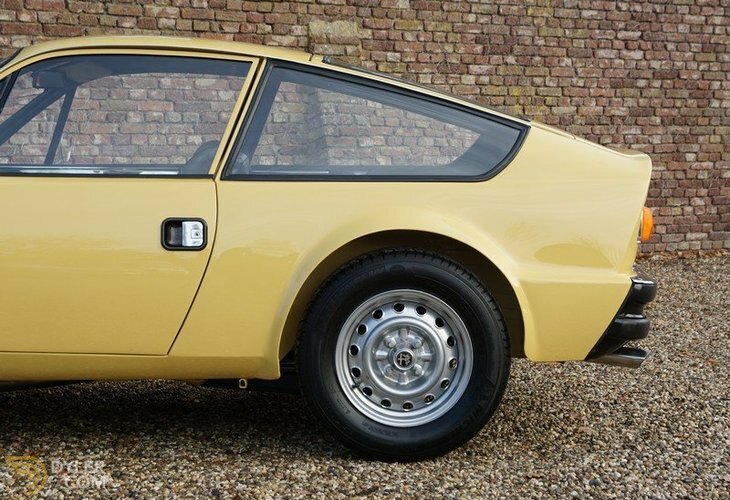 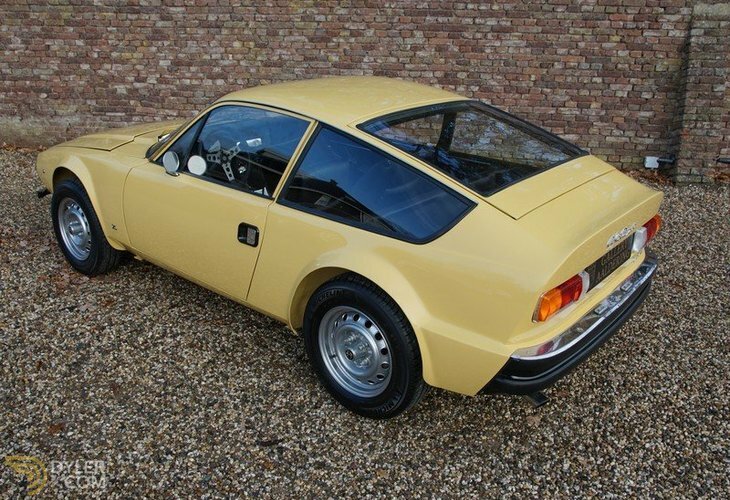 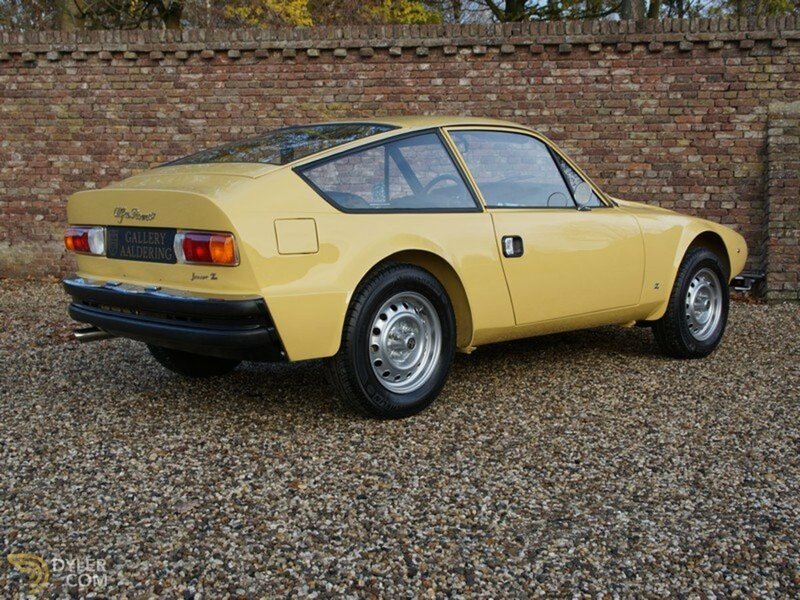 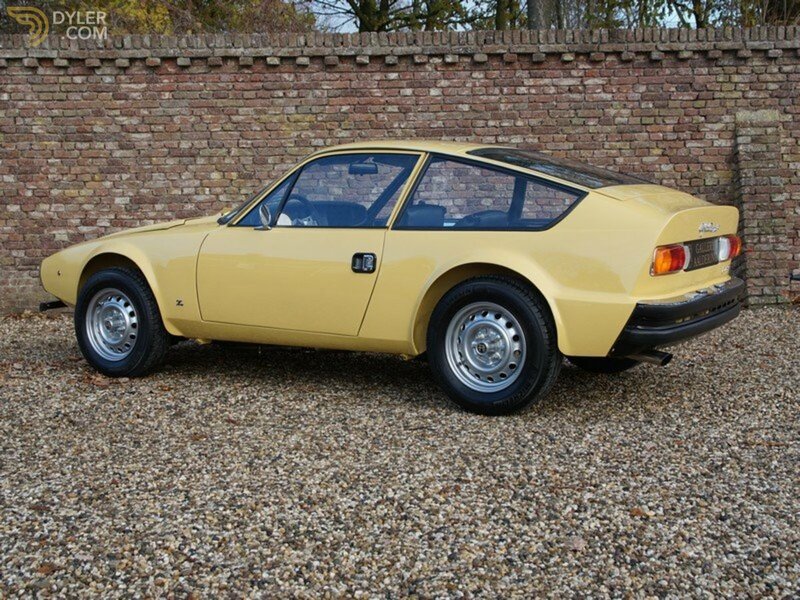 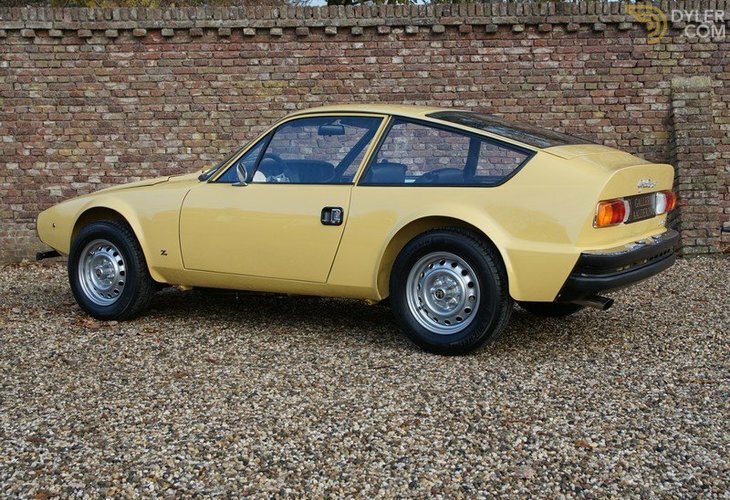 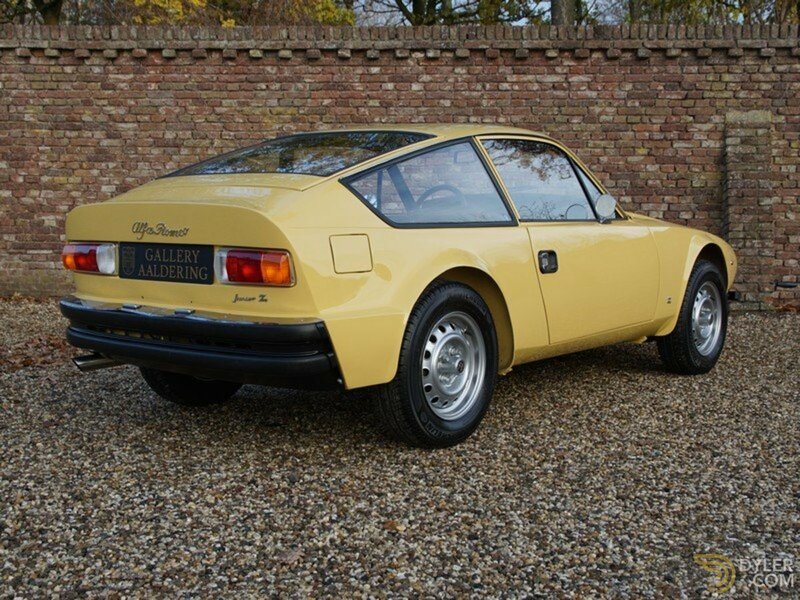 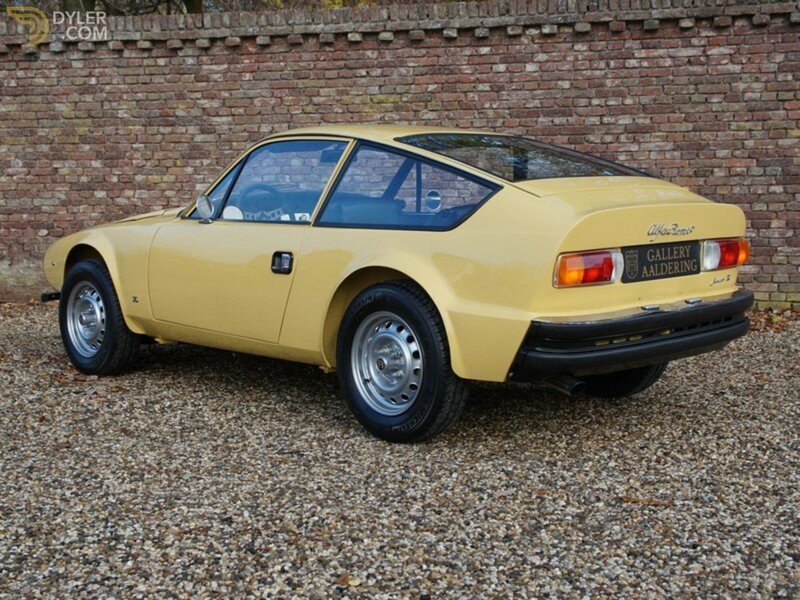 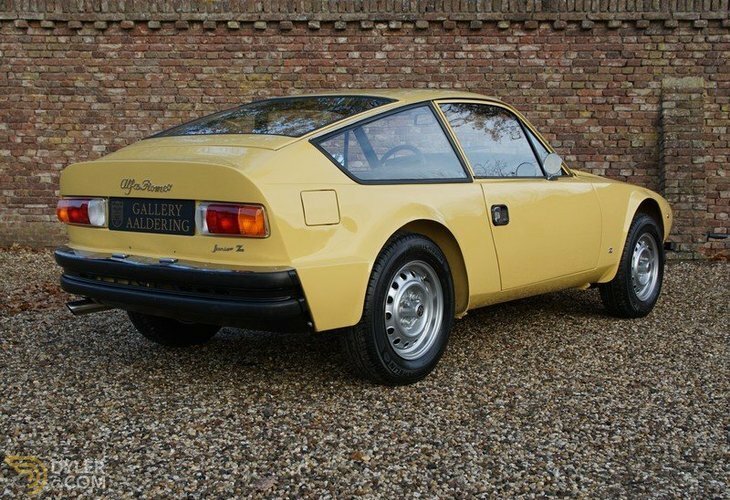 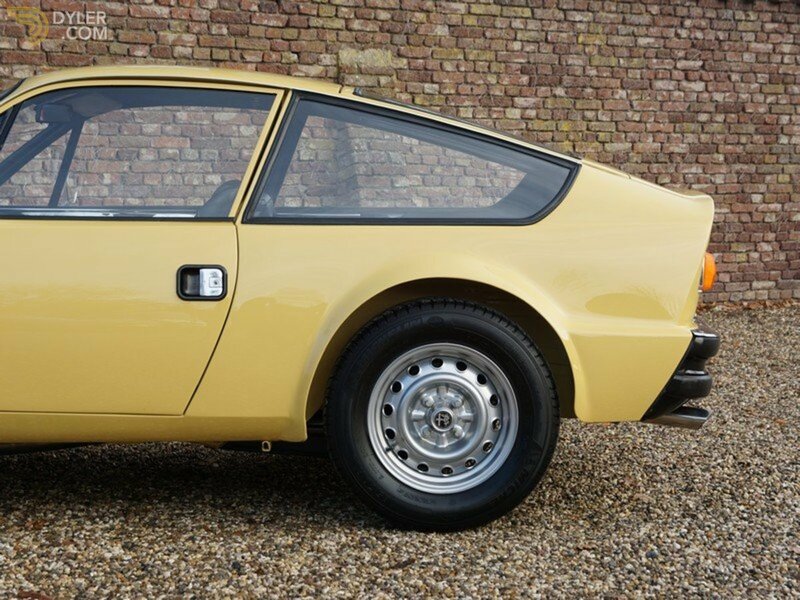 Built on the Spider platform it is 6 cm shorter than the Bertone version. 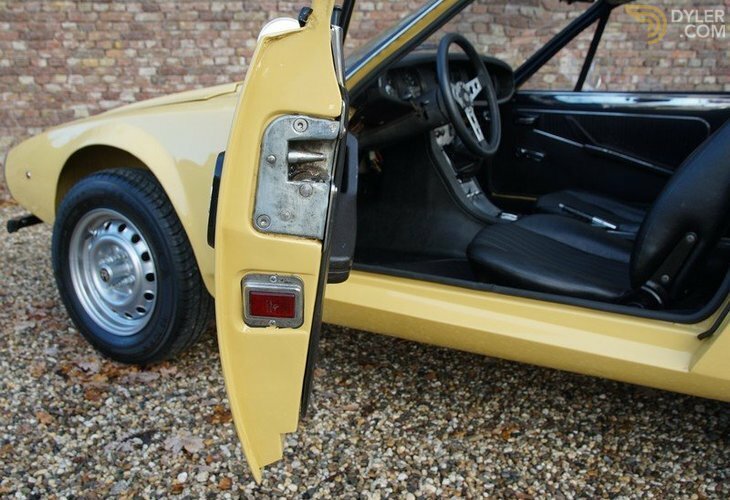 Only 1,117 were ever made, of which 2 were destroyed by the factory. It was supplied from new in Munster, Germany on the 13th September 1971. 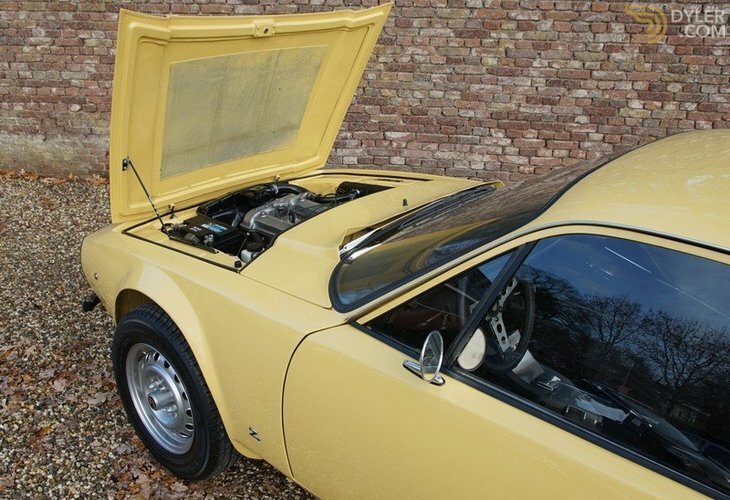 It was sold to its second owner on the 11th February 1972. 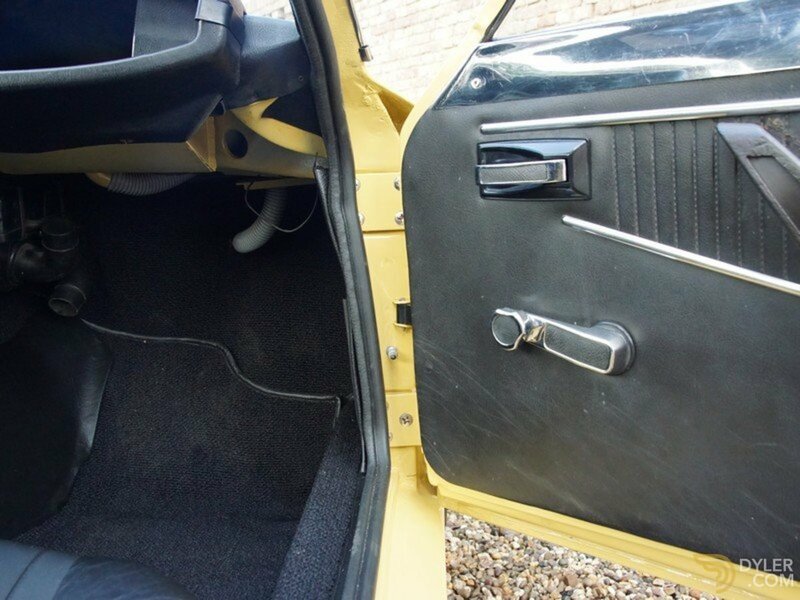 He kept the car until the 8th November 2012. 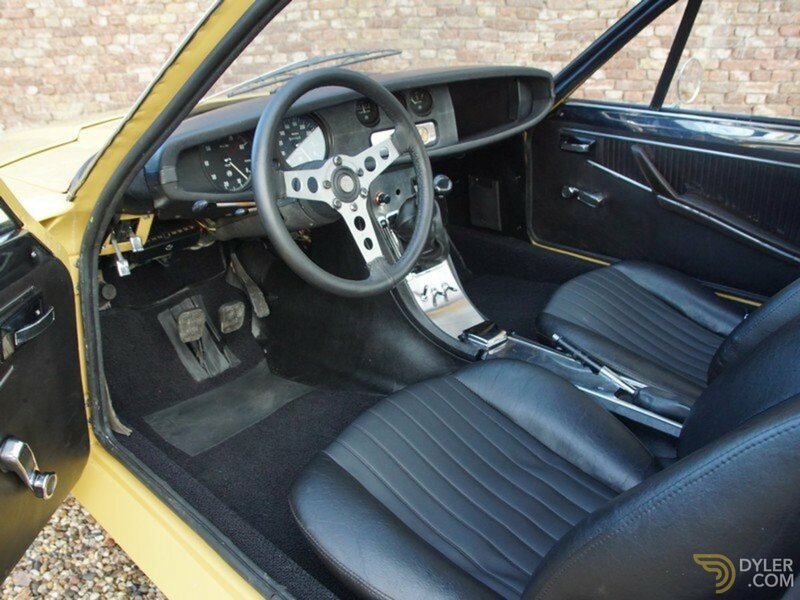 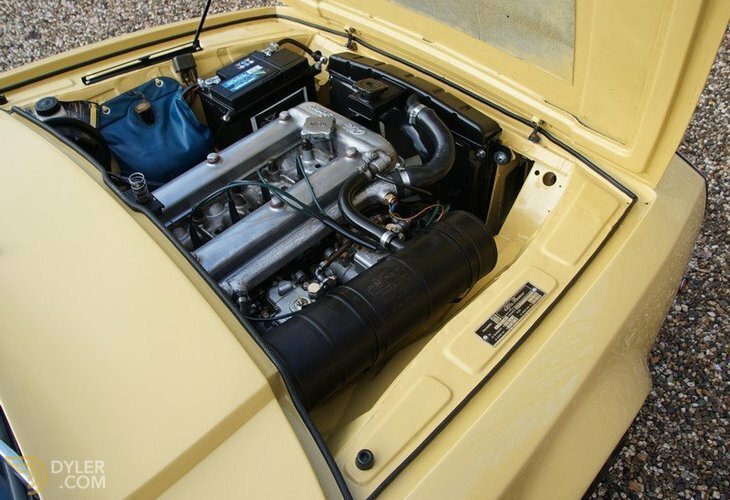 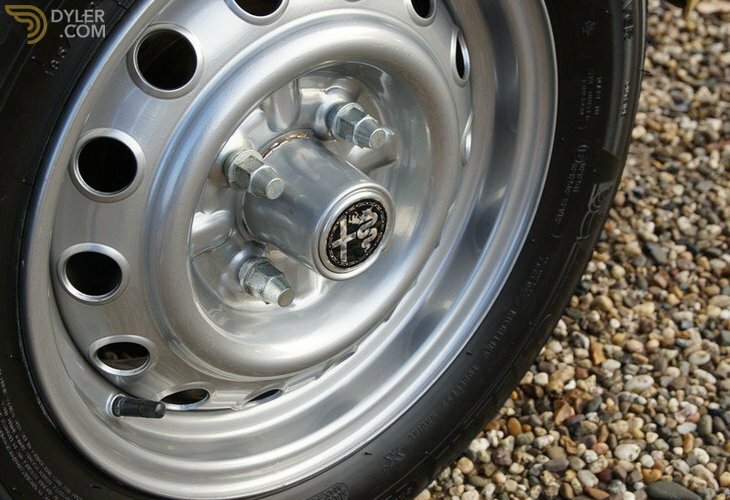 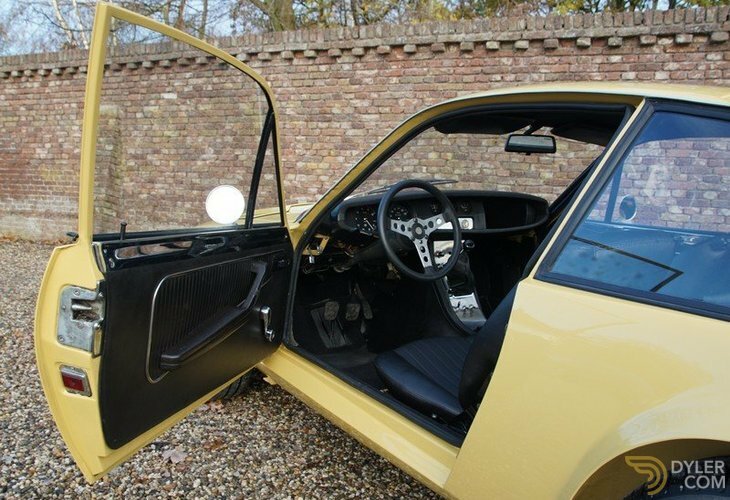 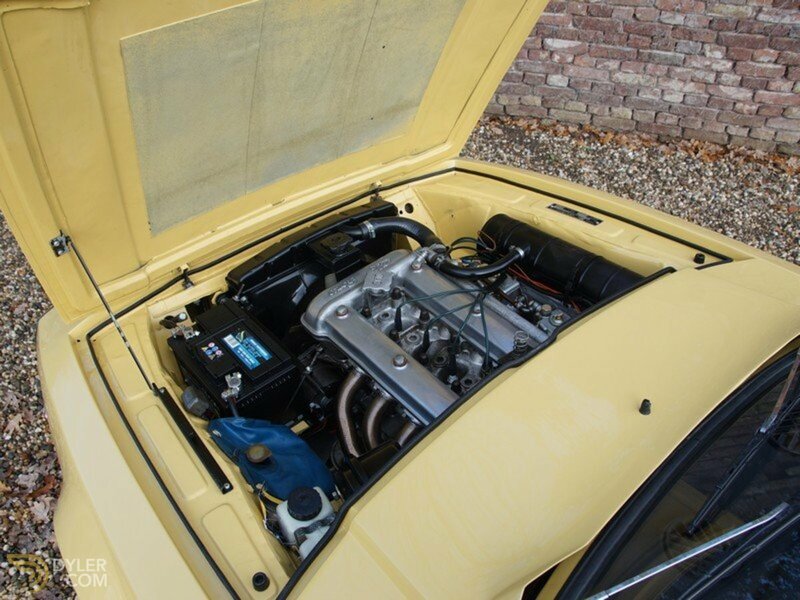 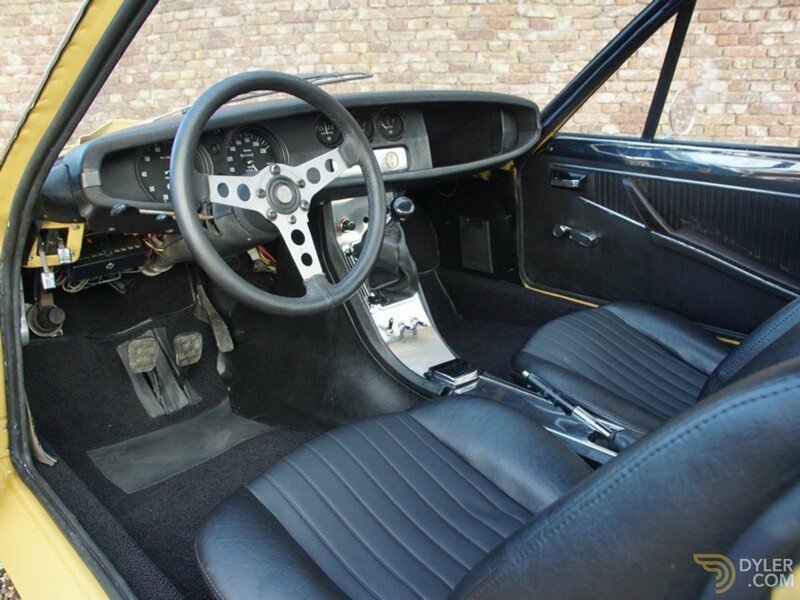 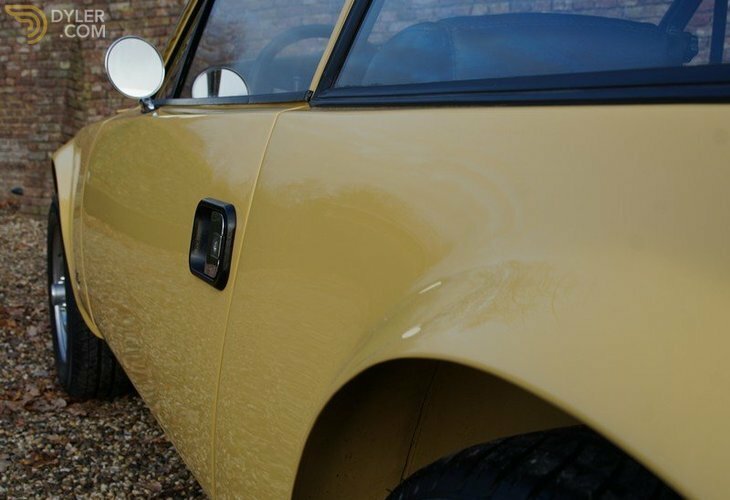 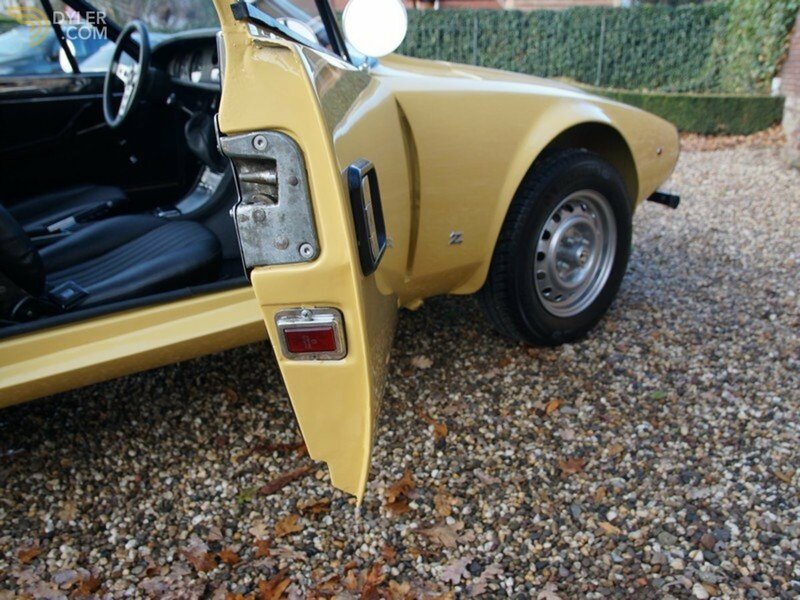 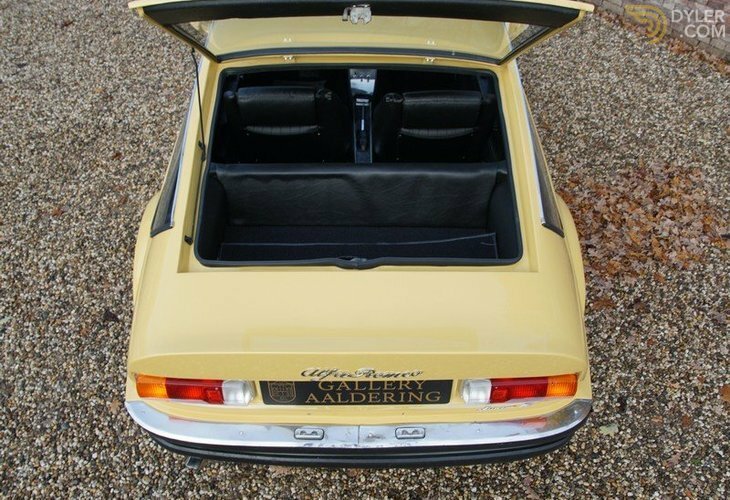 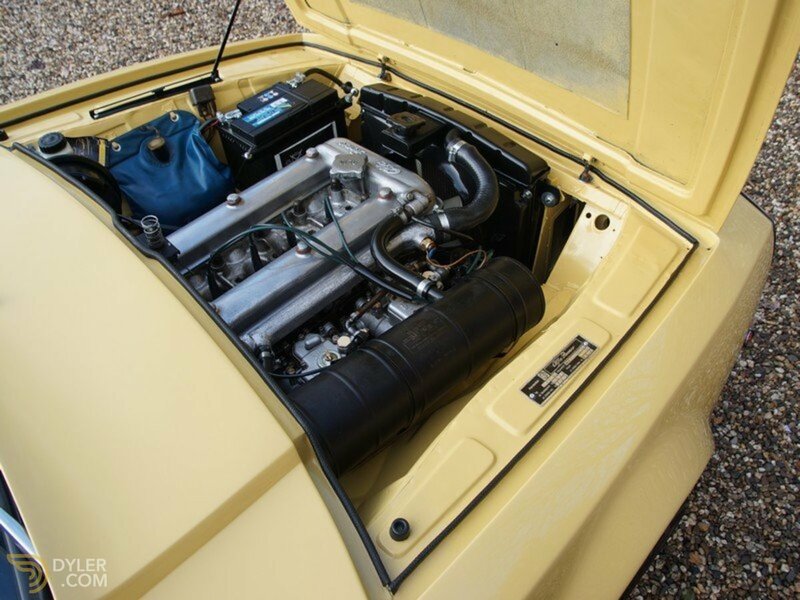 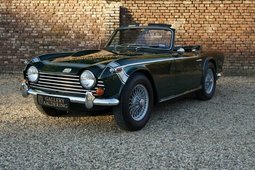 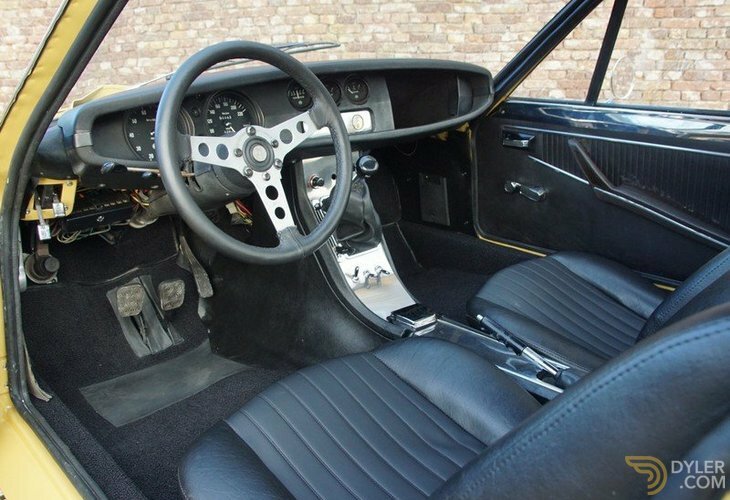 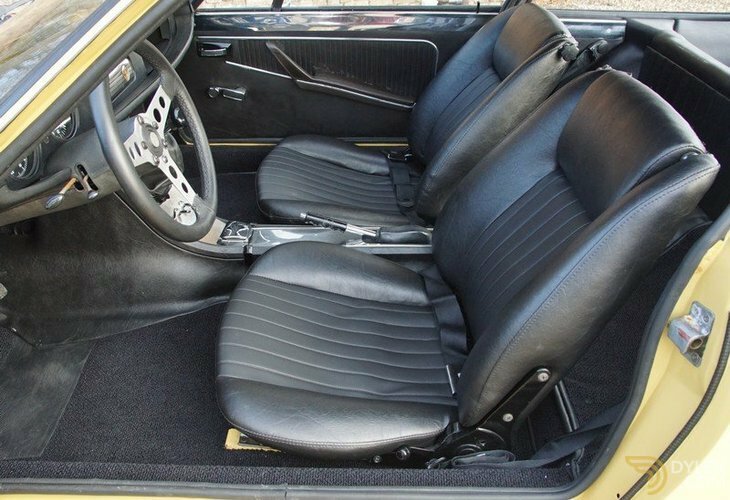 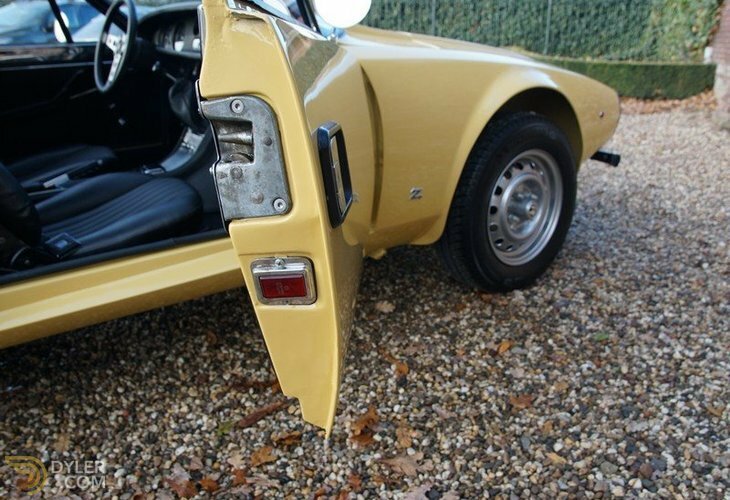 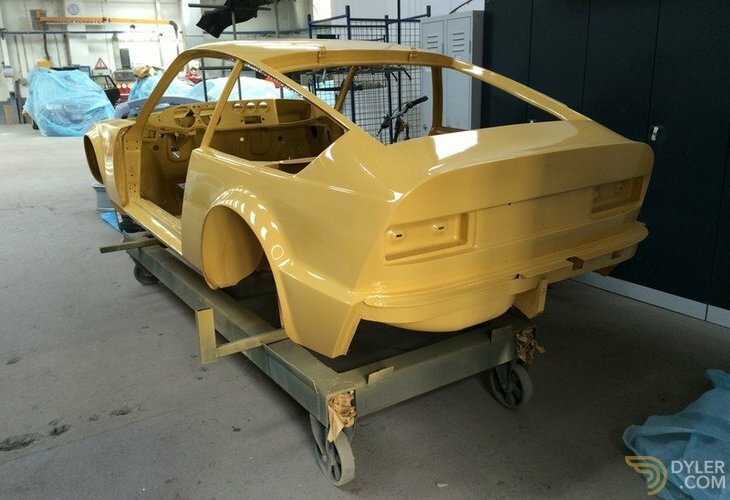 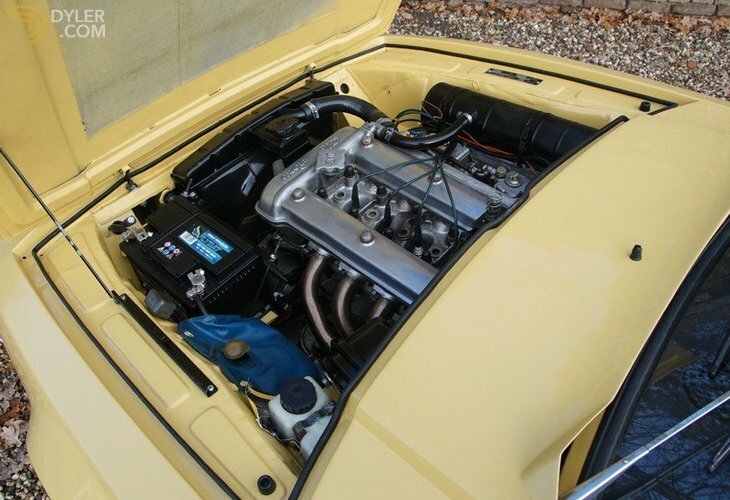 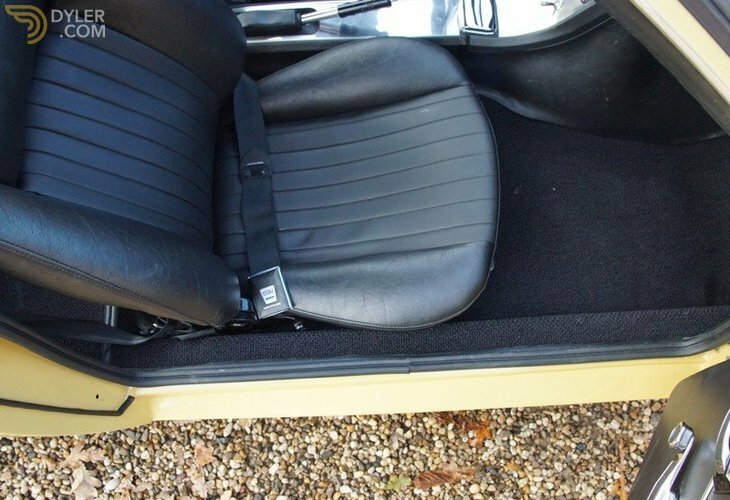 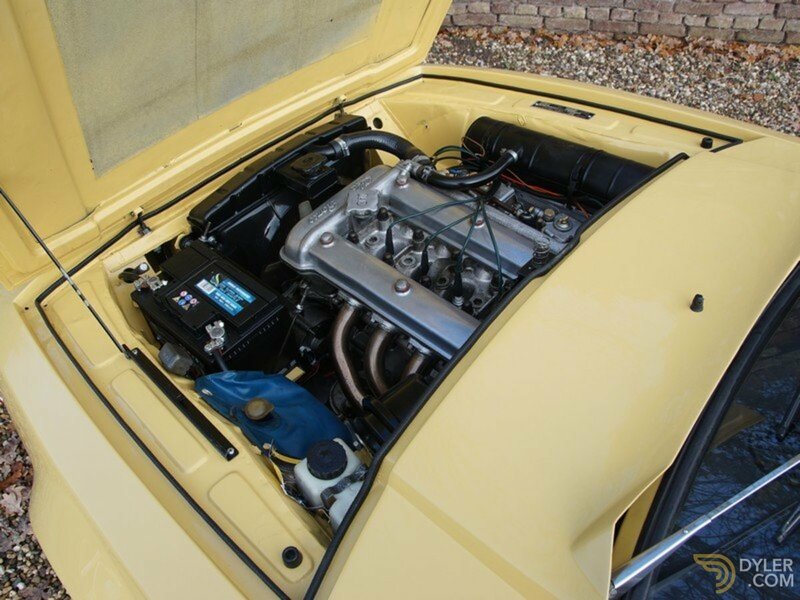 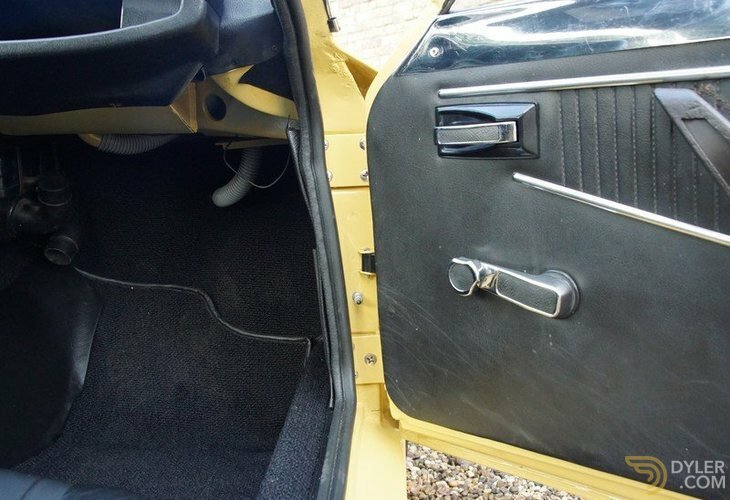 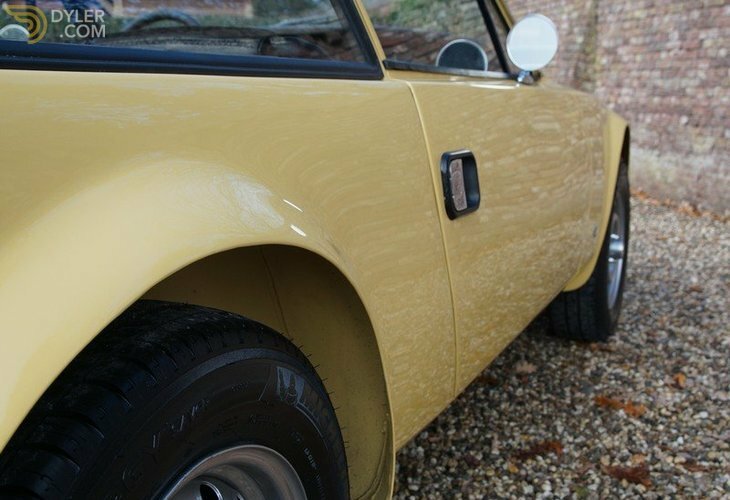 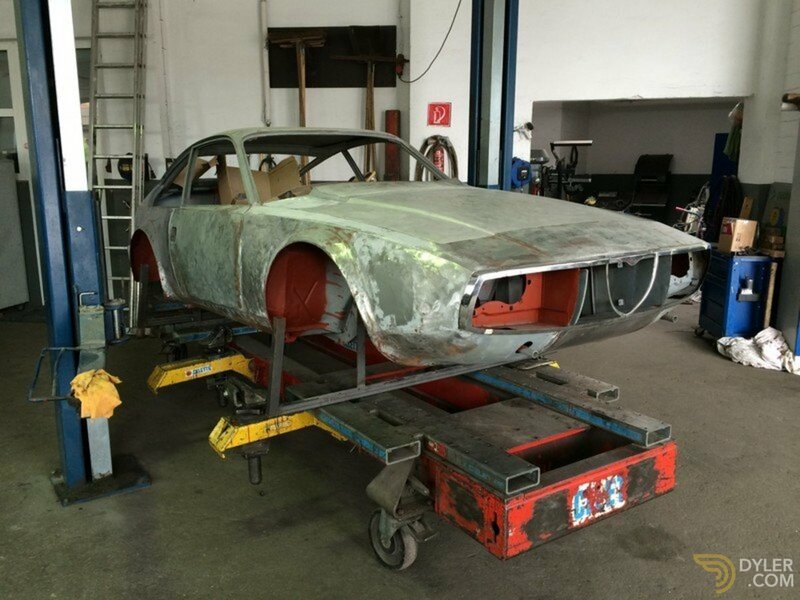 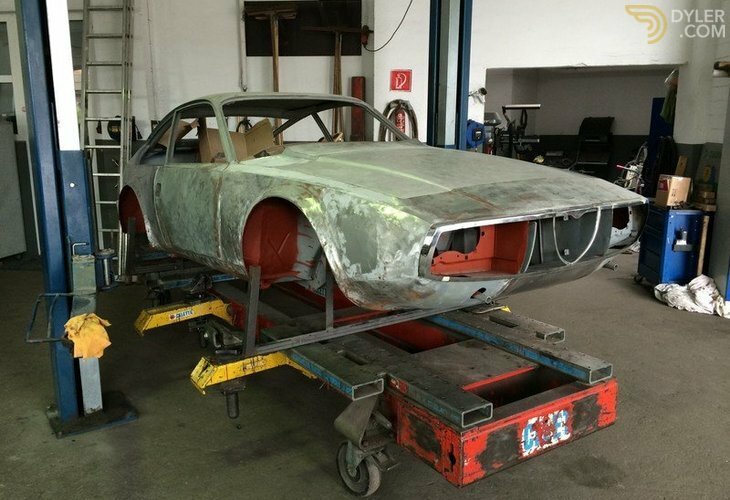 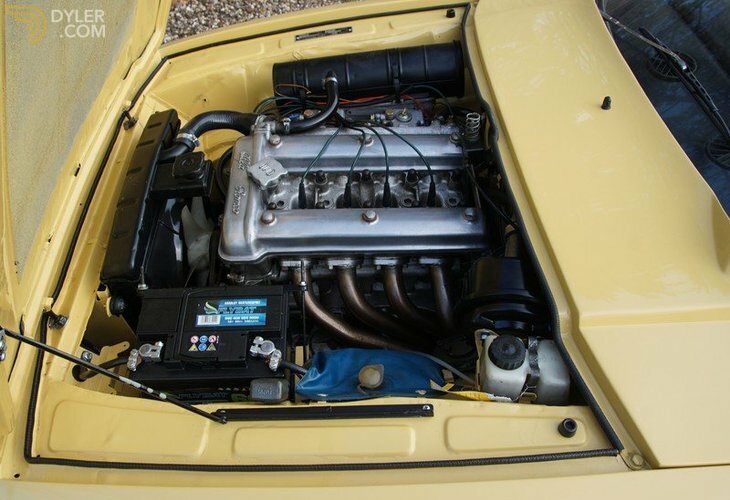 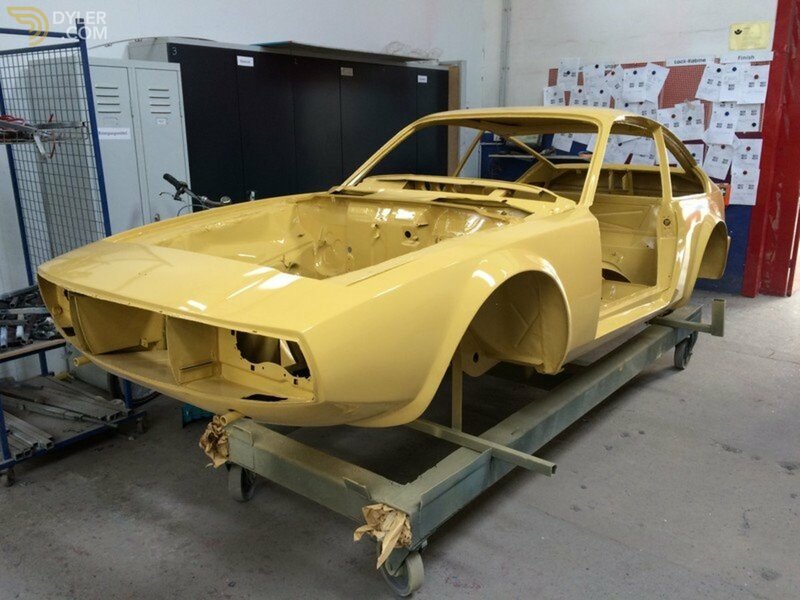 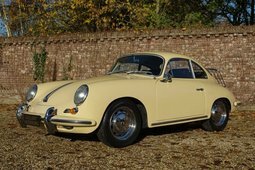 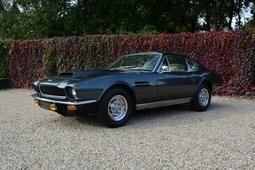 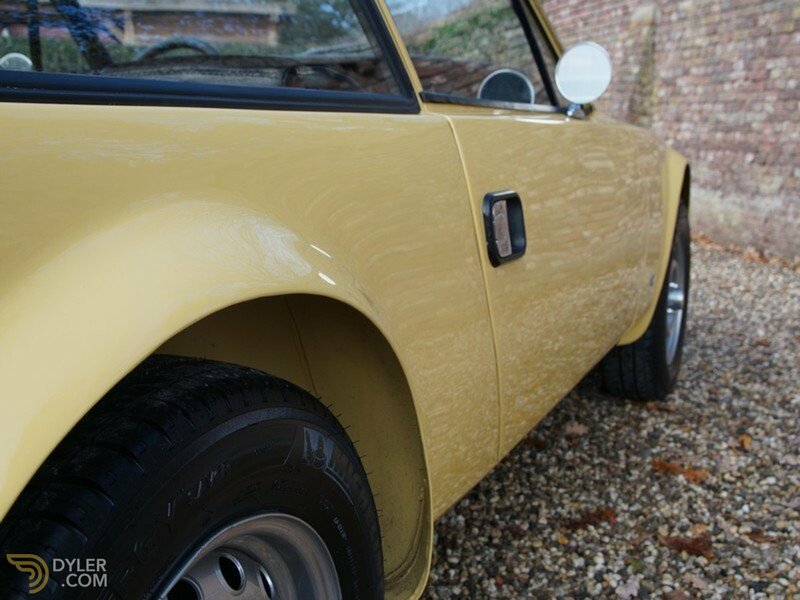 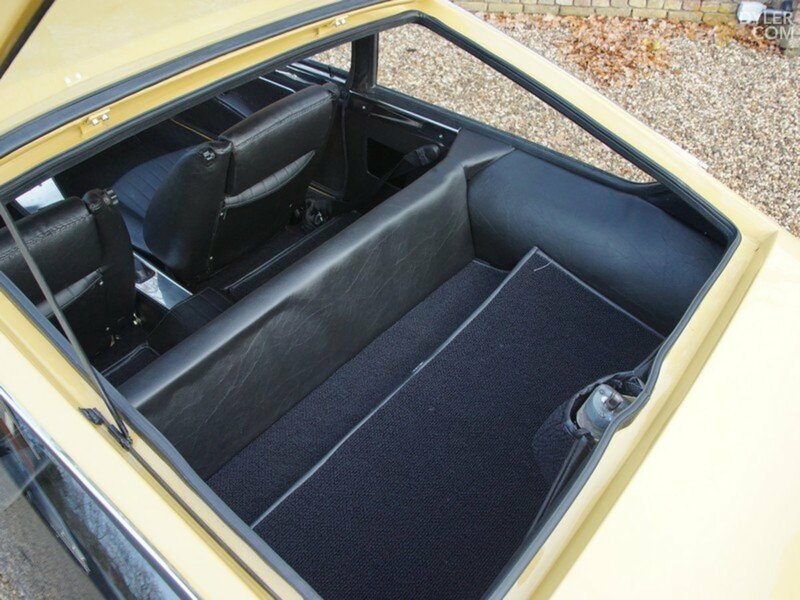 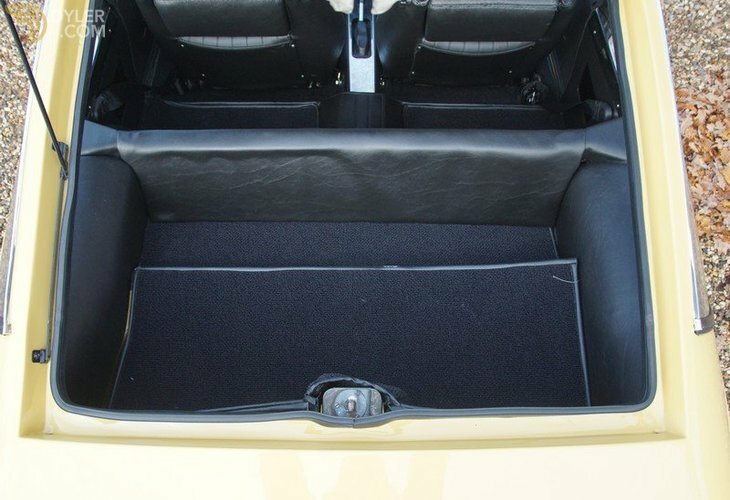 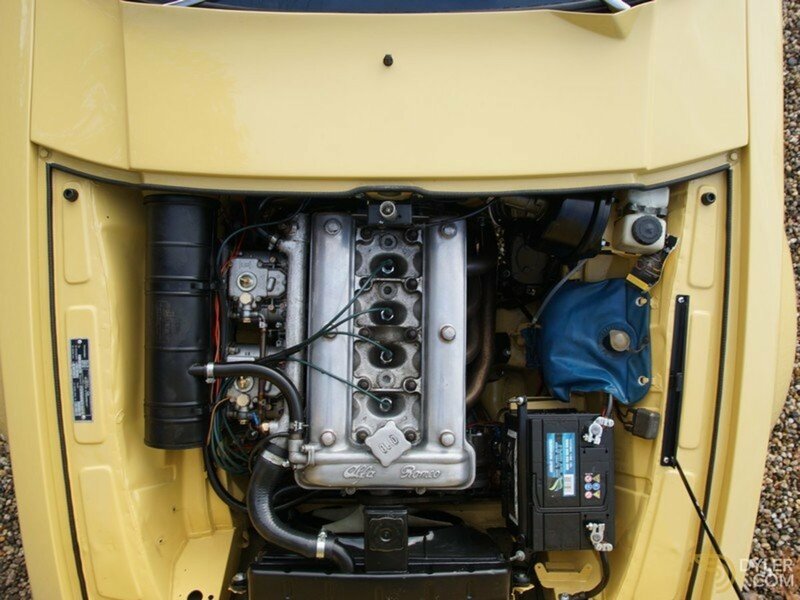 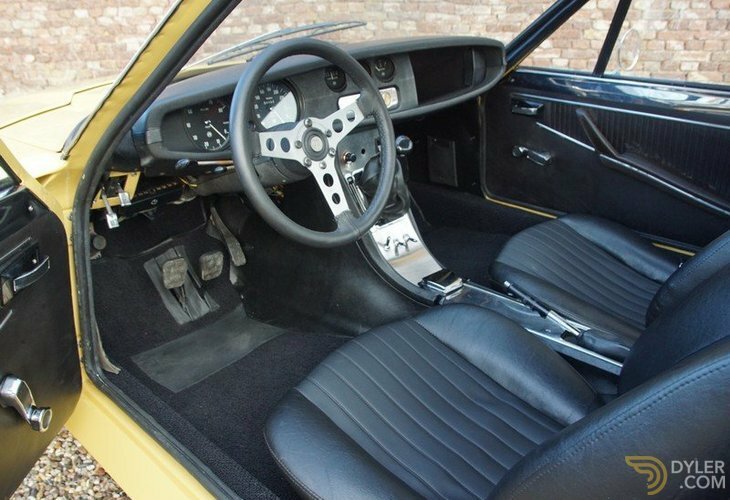 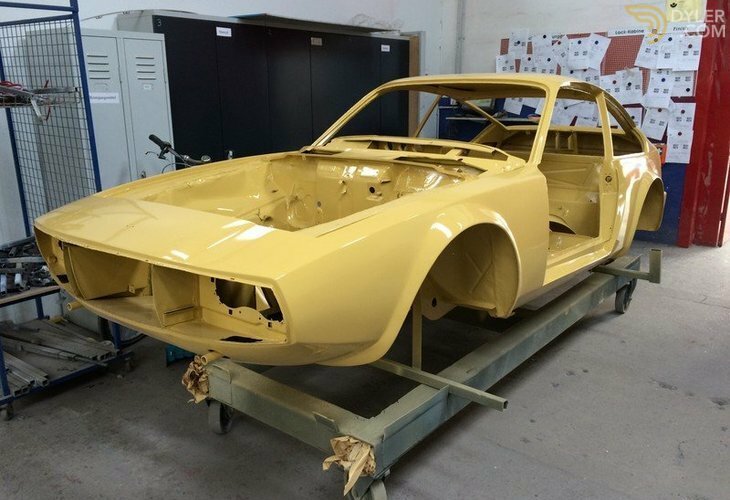 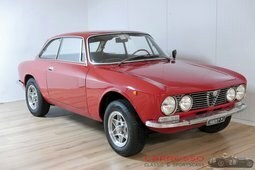 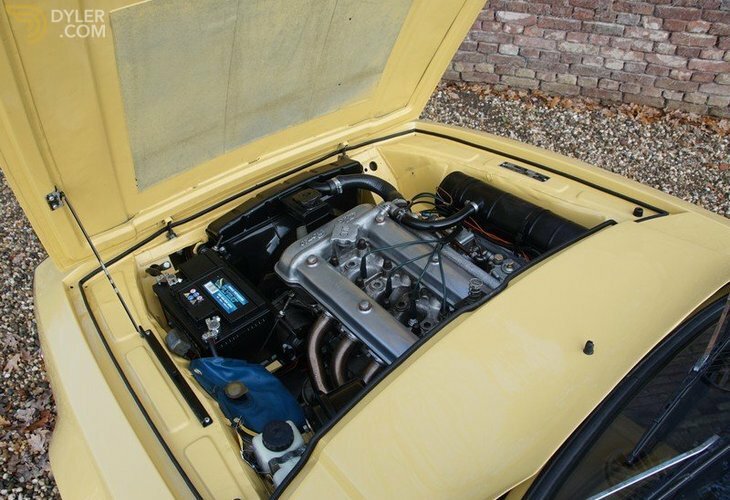 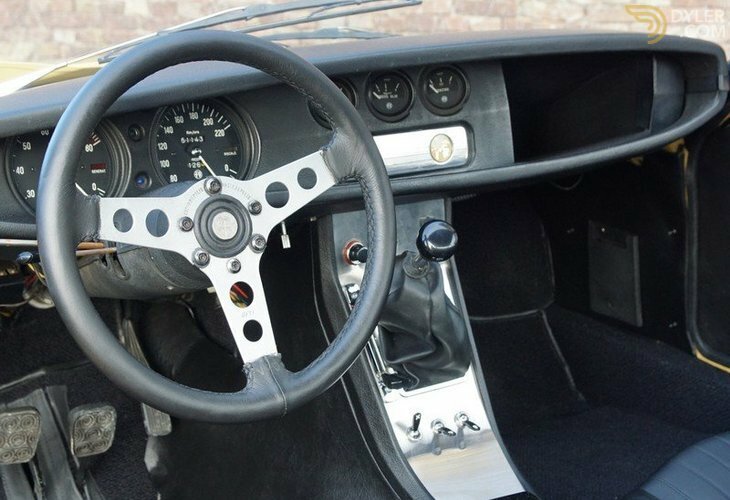 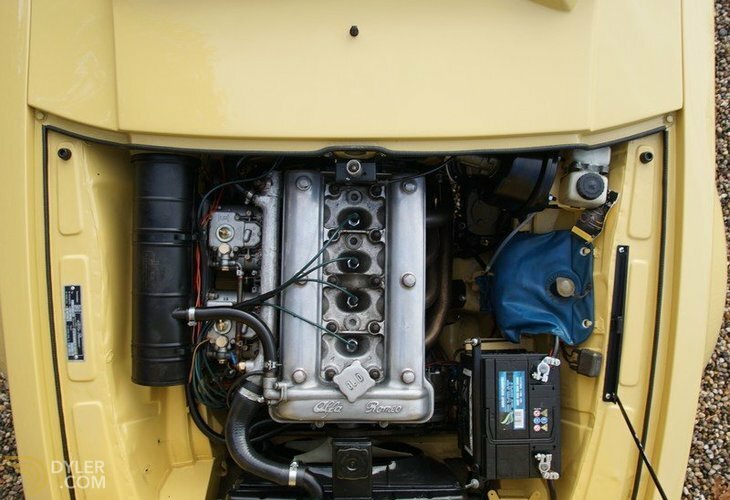 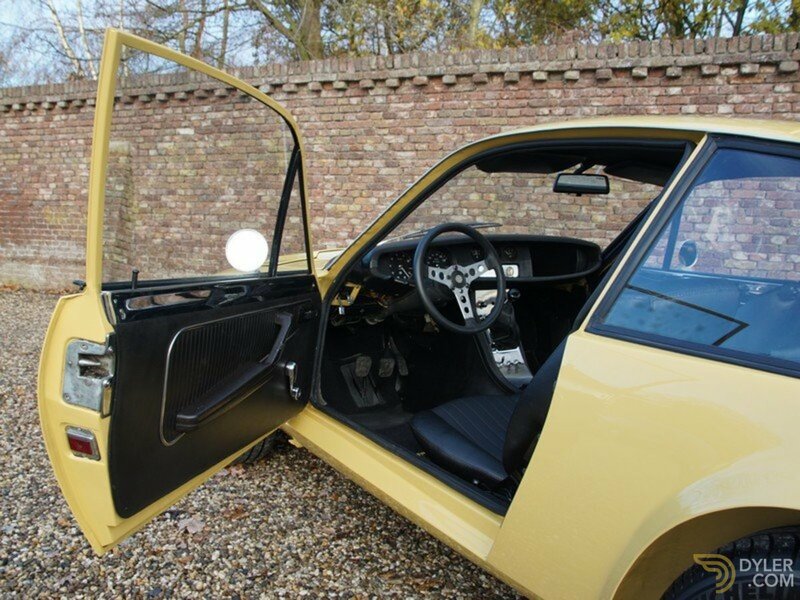 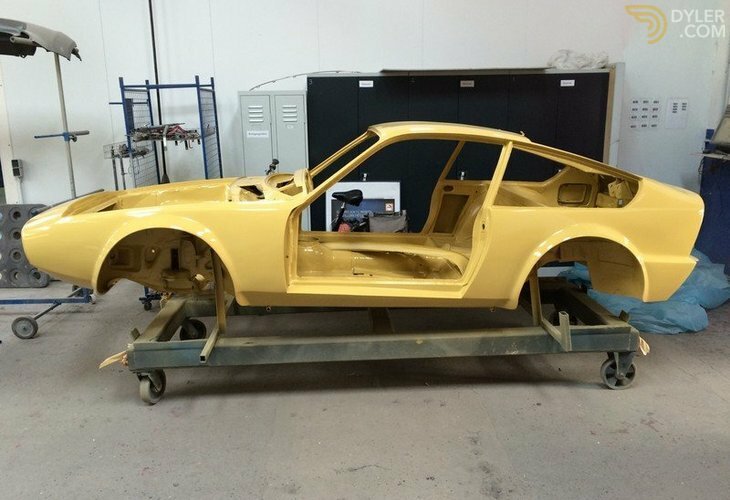 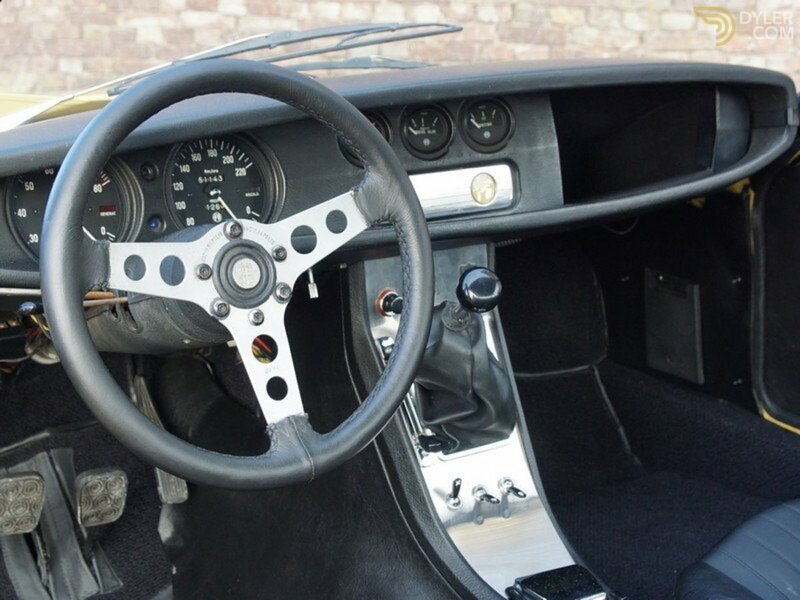 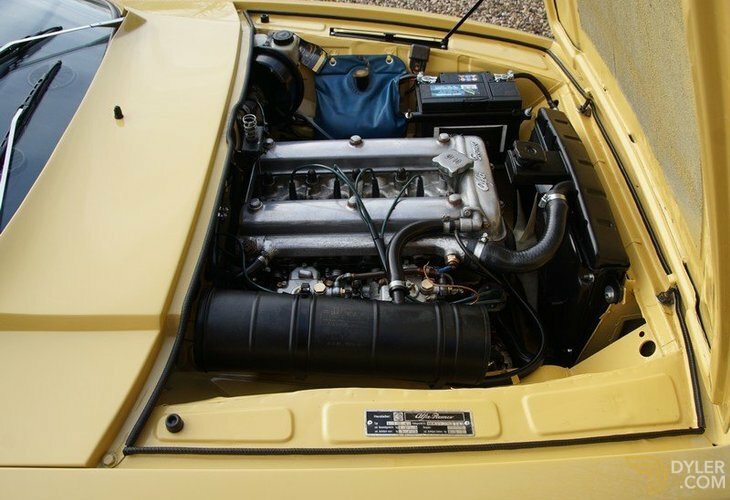 Between the 1st December 2012 and the 1st May 2017 the third owner had the car meticulously restored. 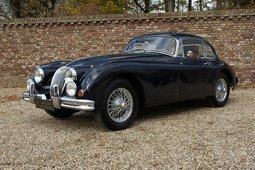 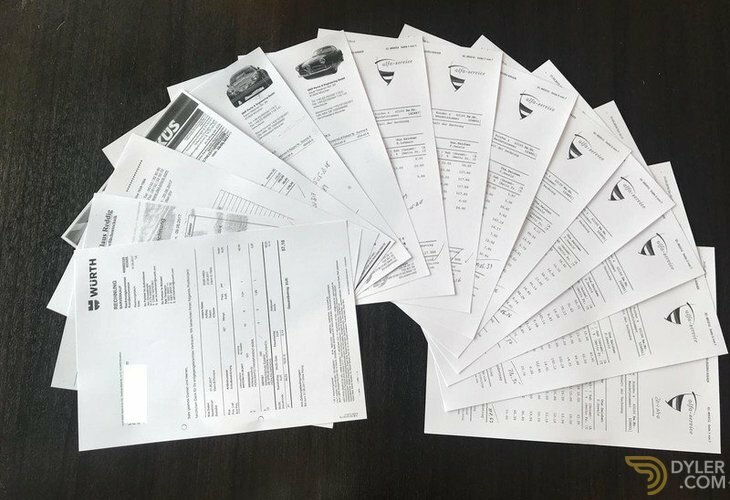 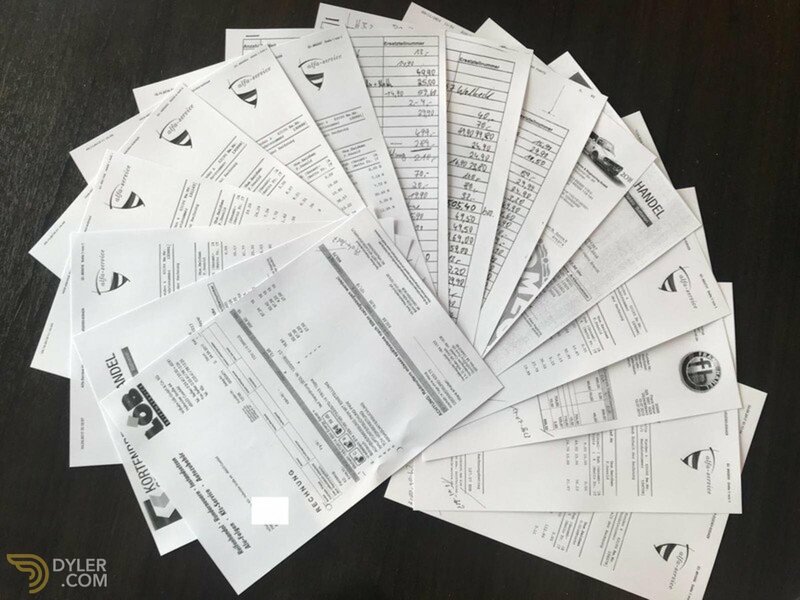 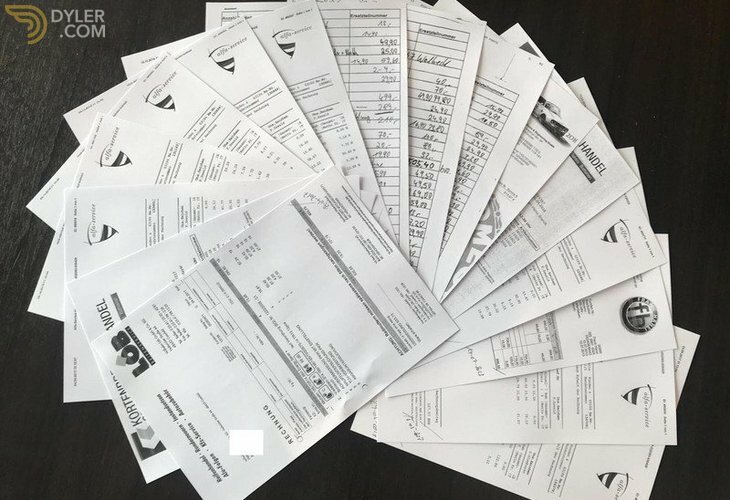 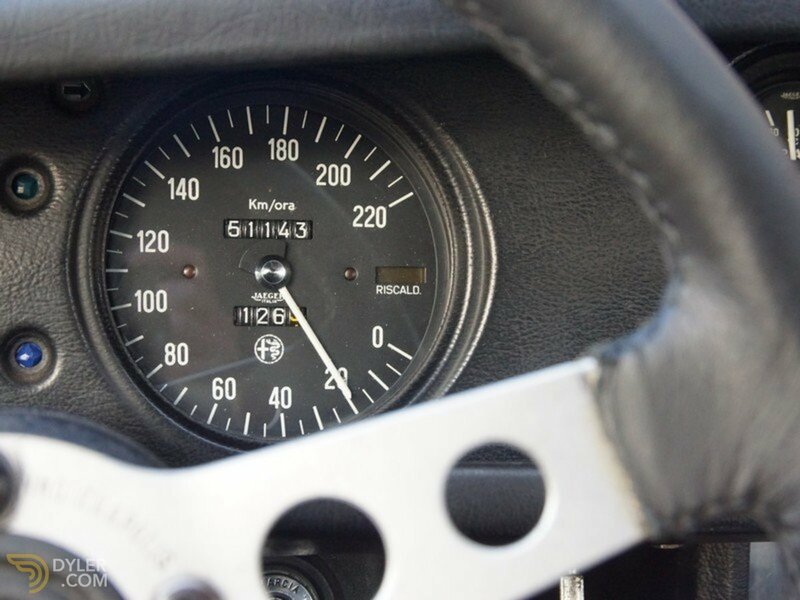 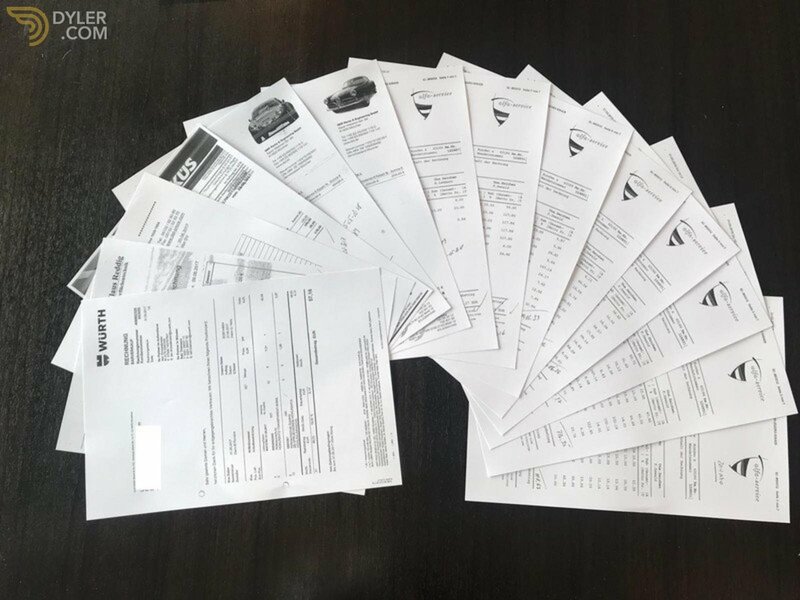 The cars’ provenance and mileage is easy to track thanks to the complete documentation trail. 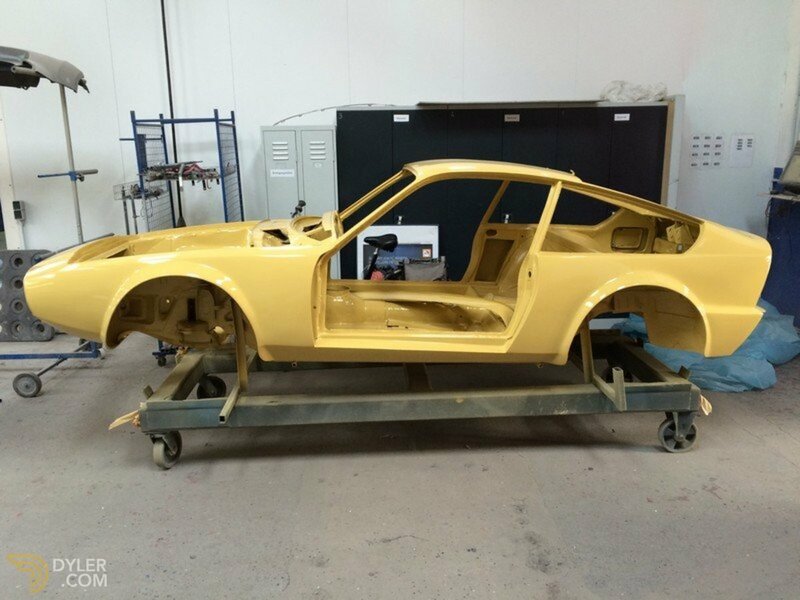 The restoration has many photos and invoices and received a ‘Gesamtnote -1’. 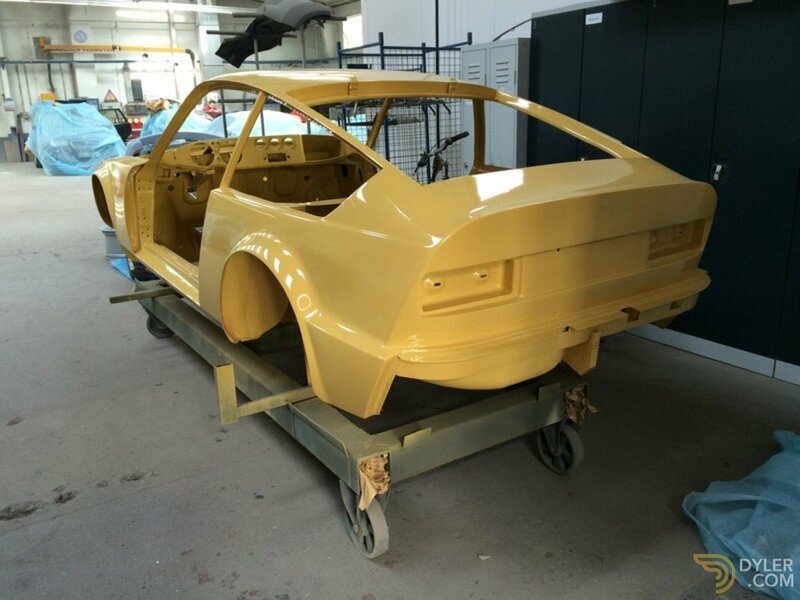 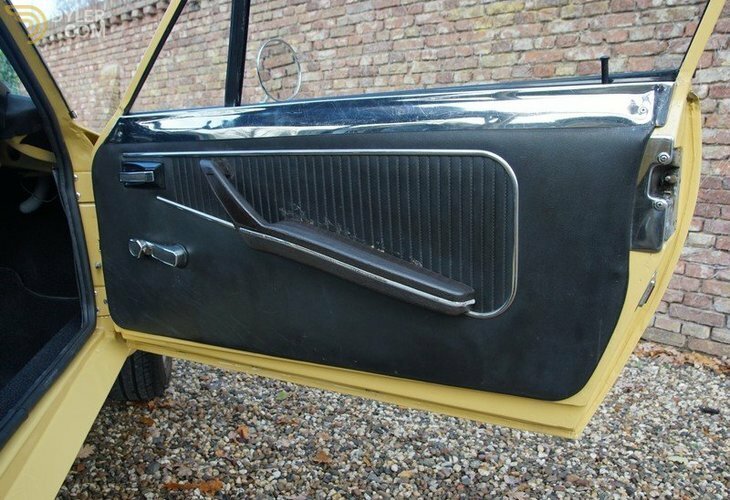 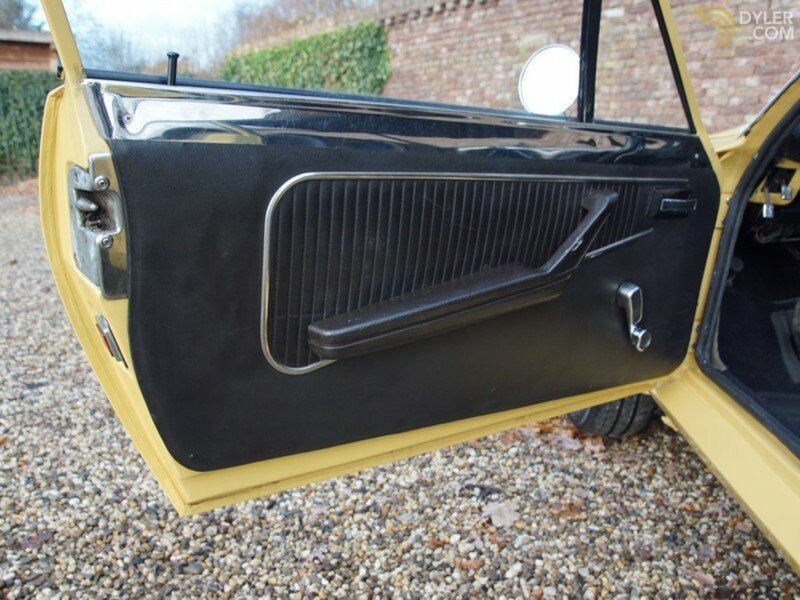 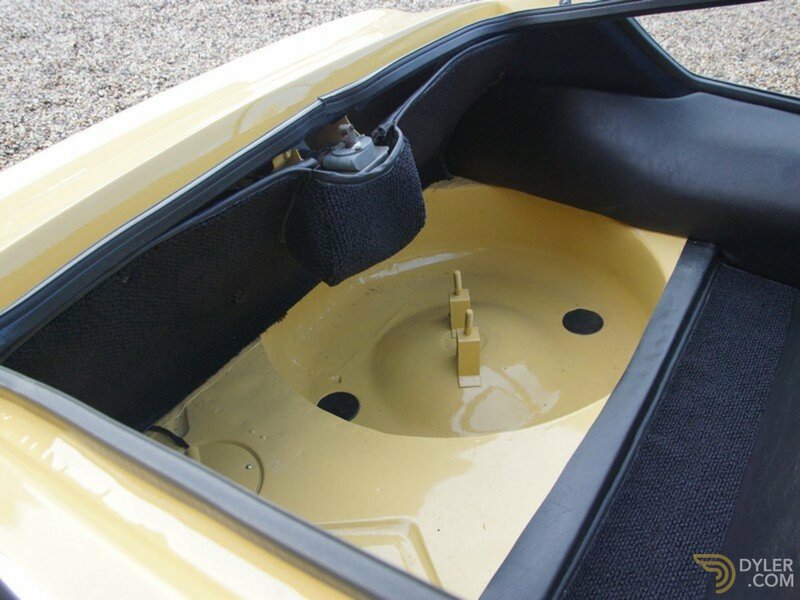 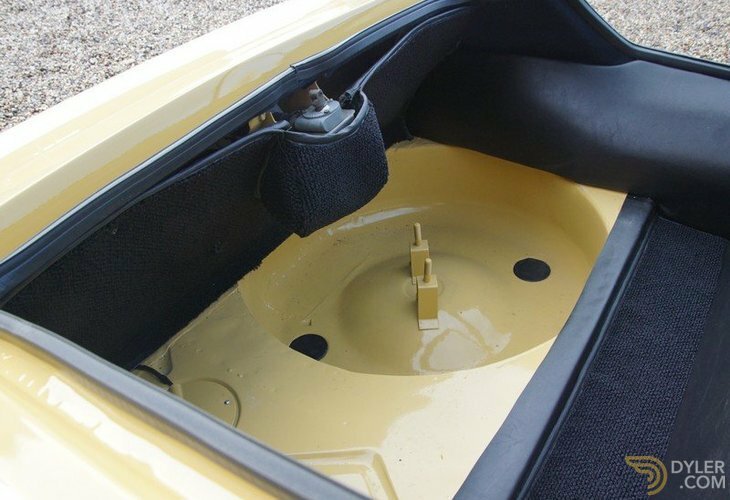 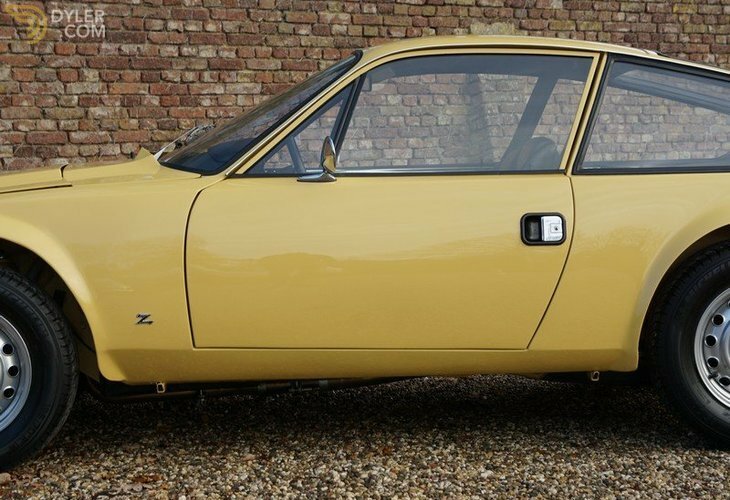 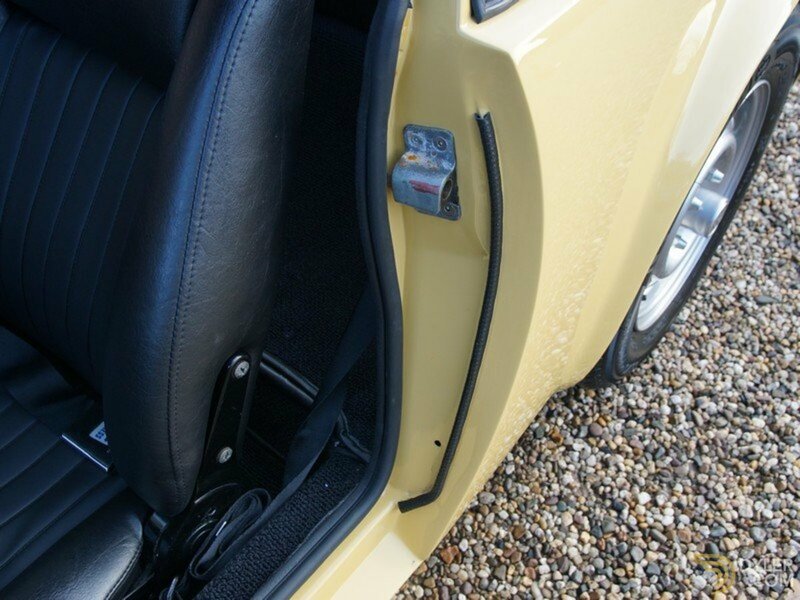 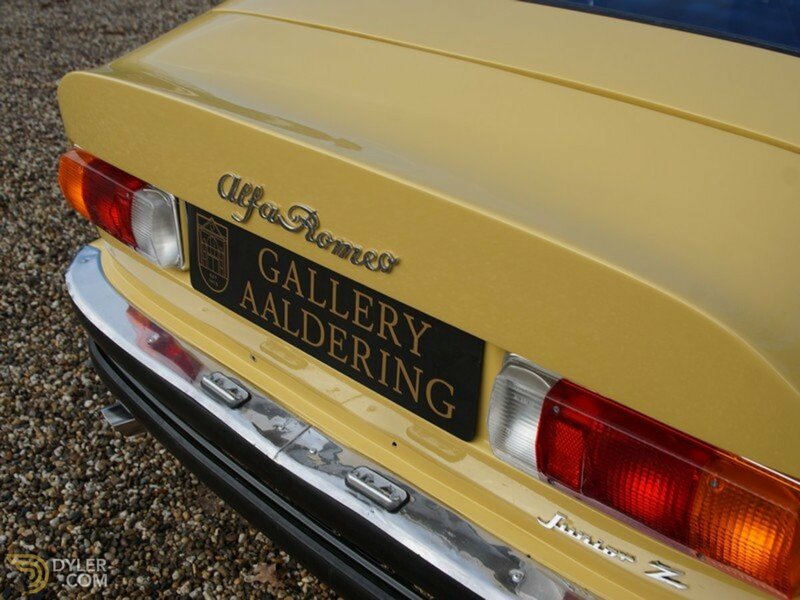 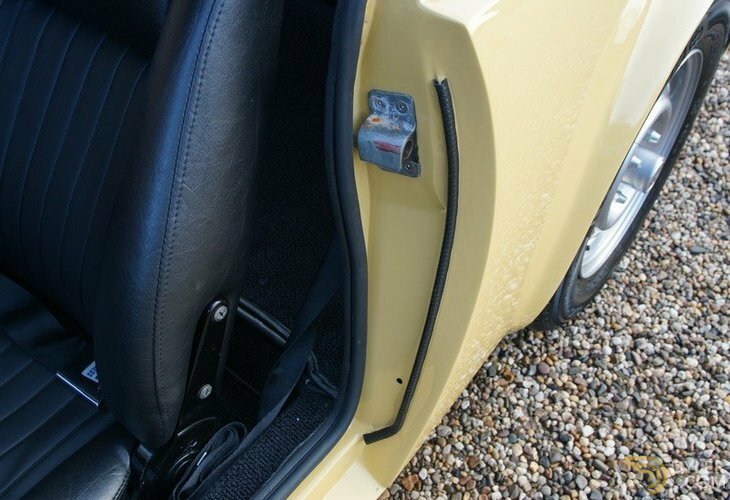 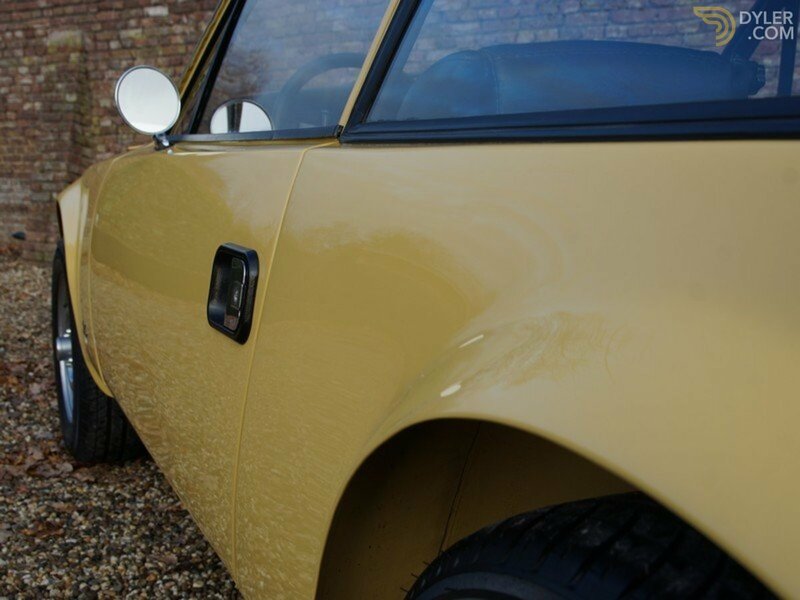 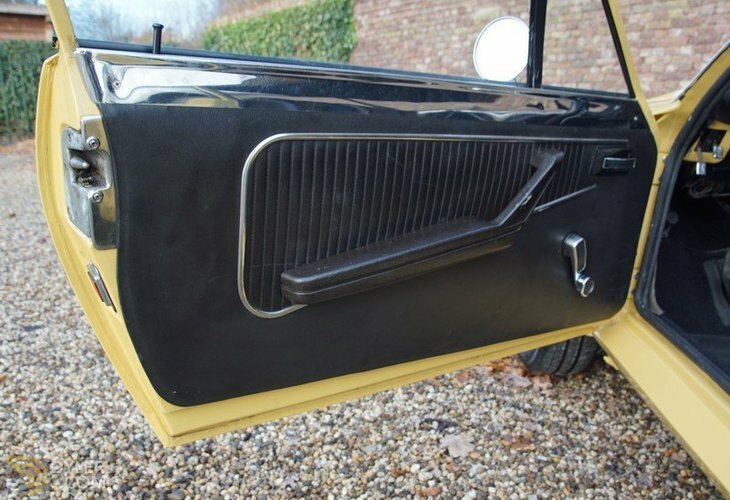 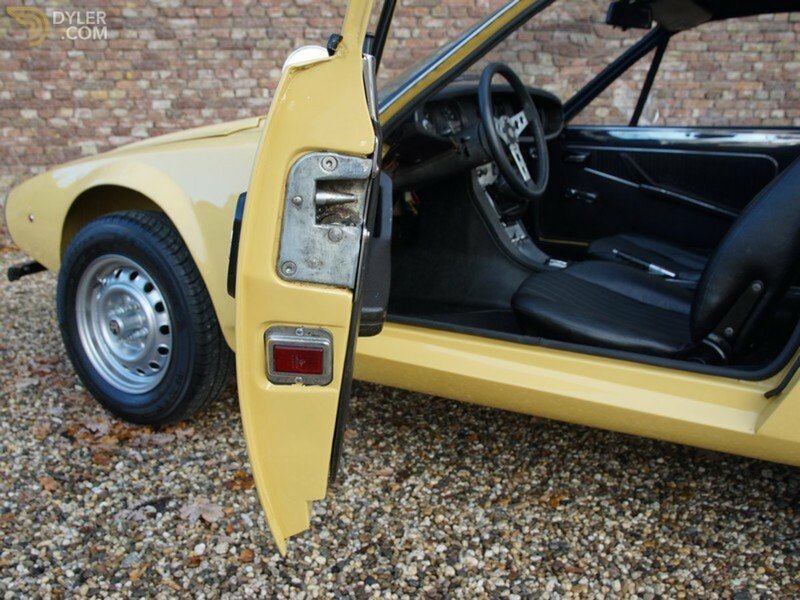 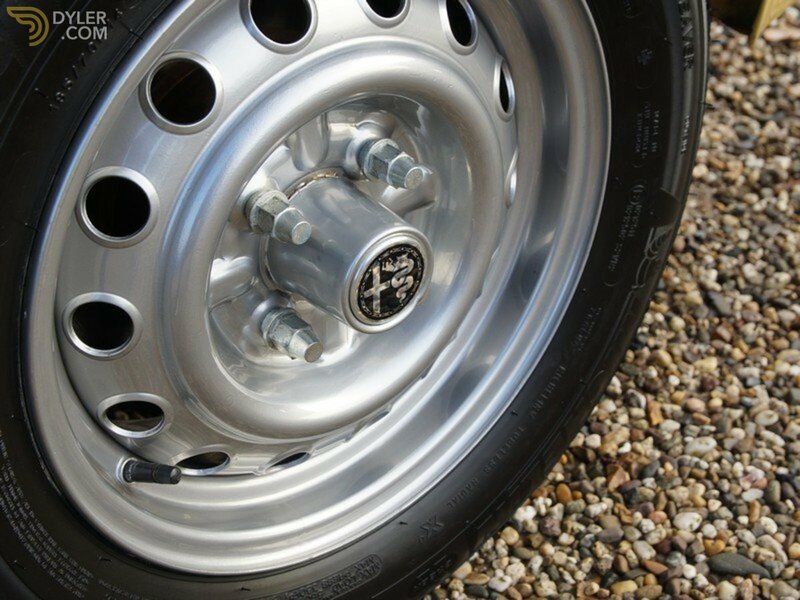 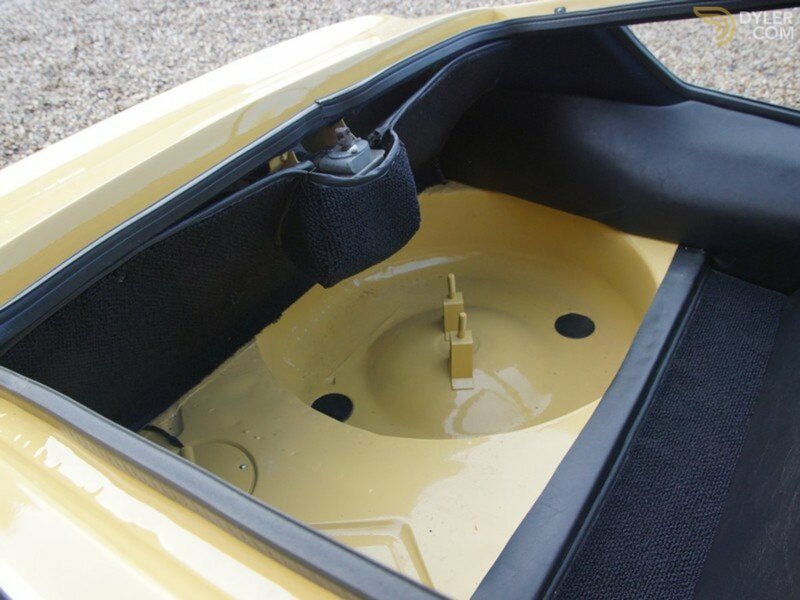 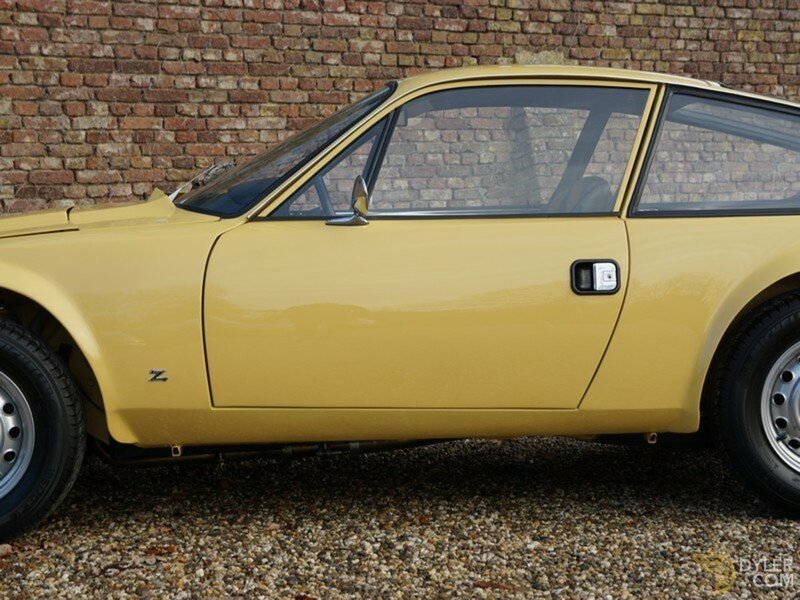 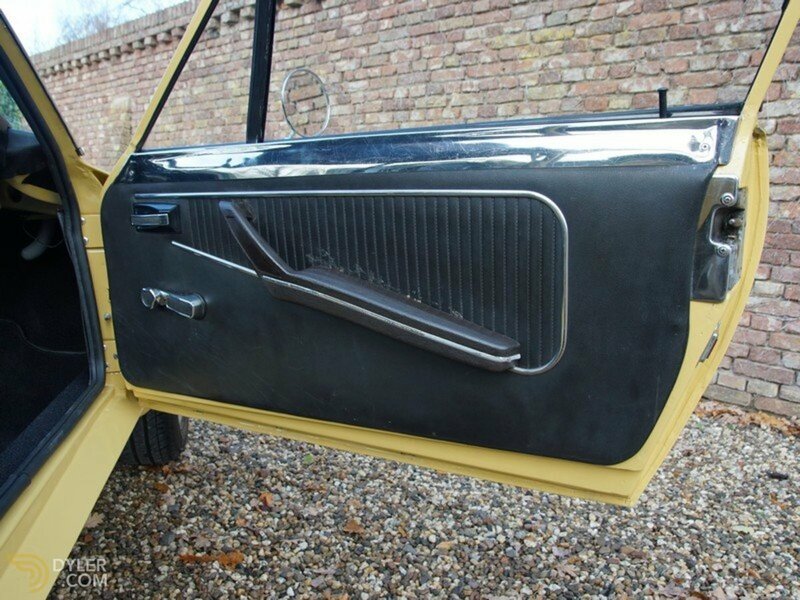 The sublime bodywork is straight with perfect body panel fittings. 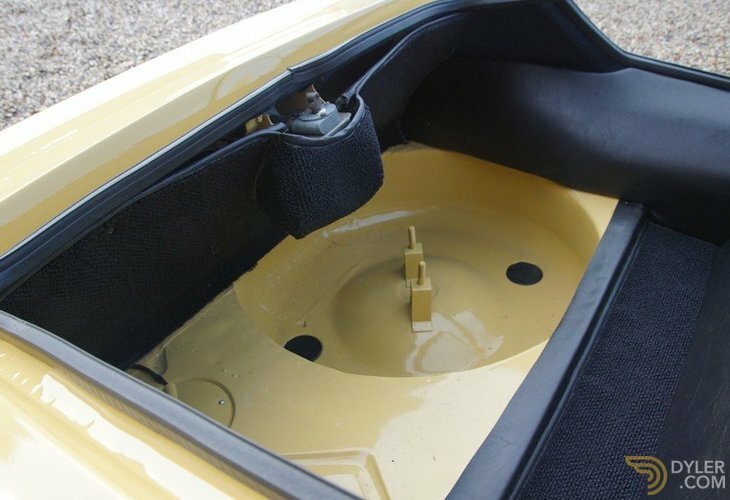 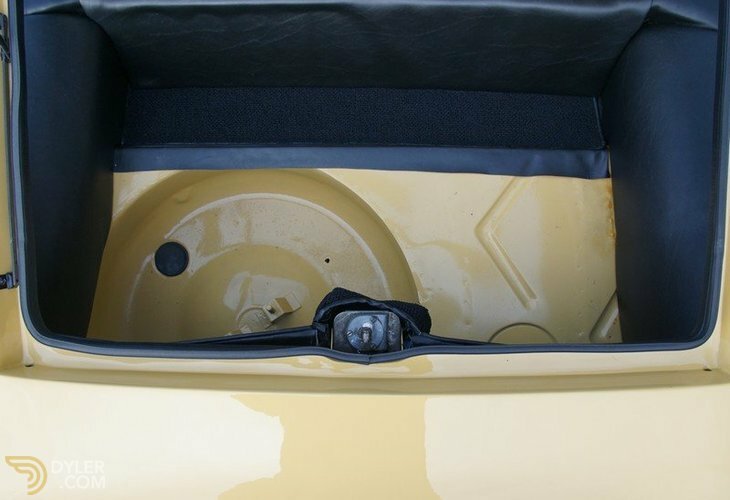 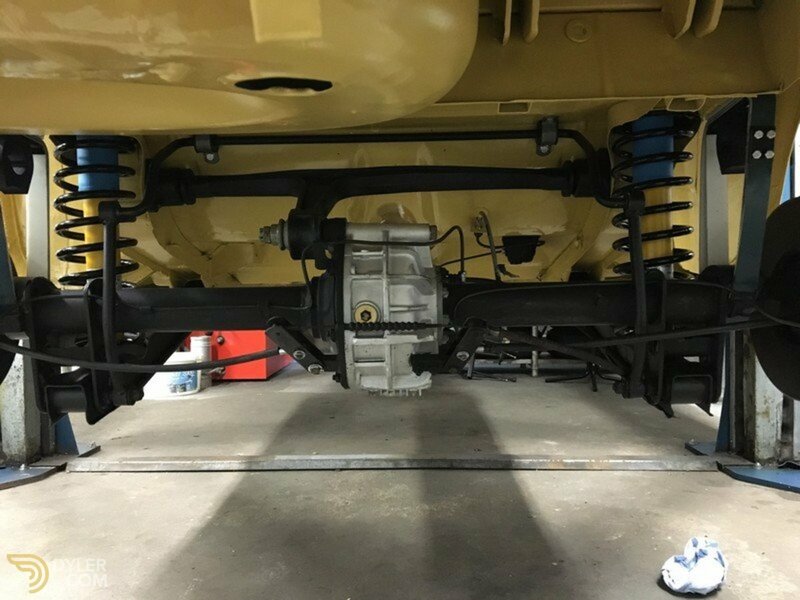 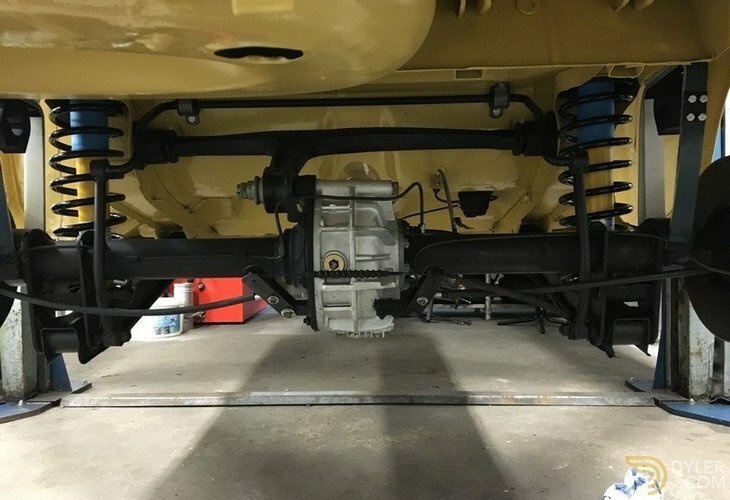 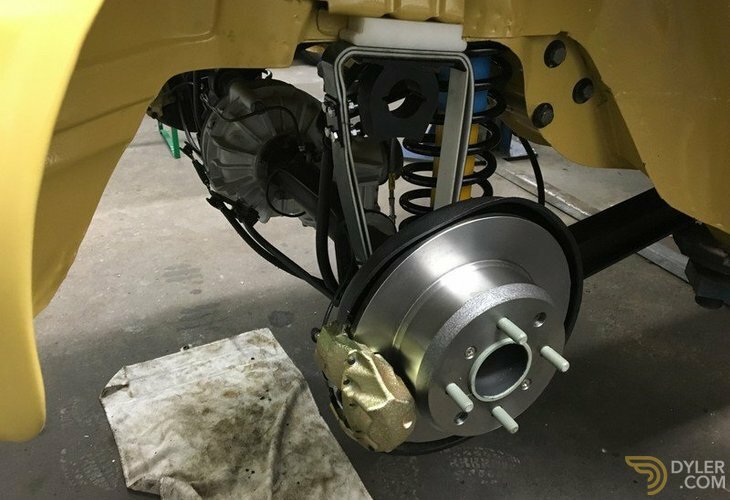 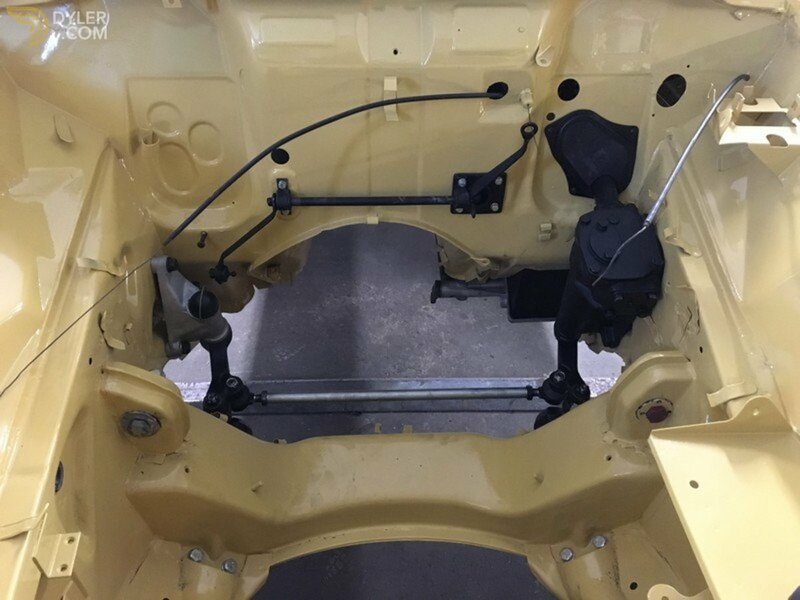 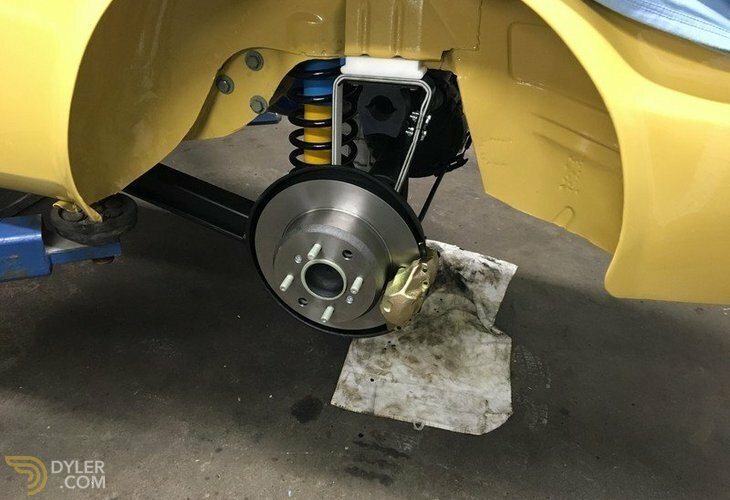 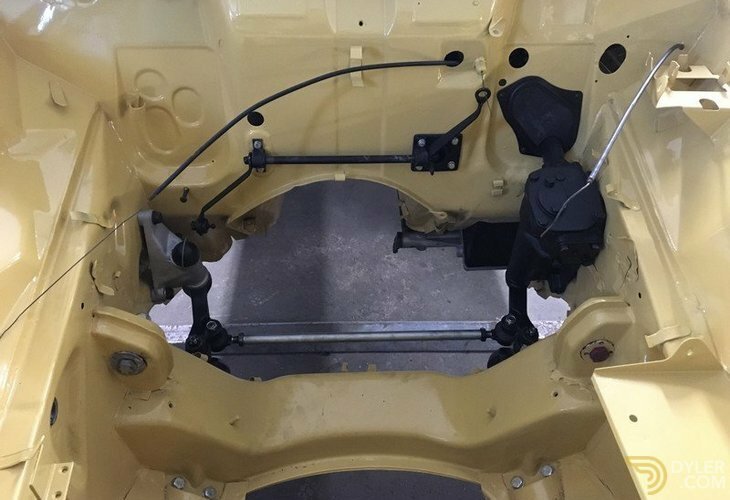 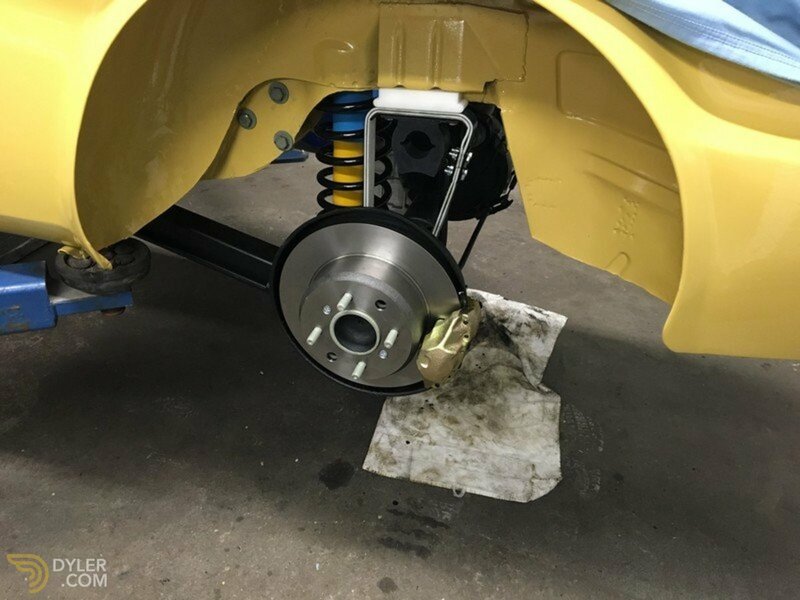 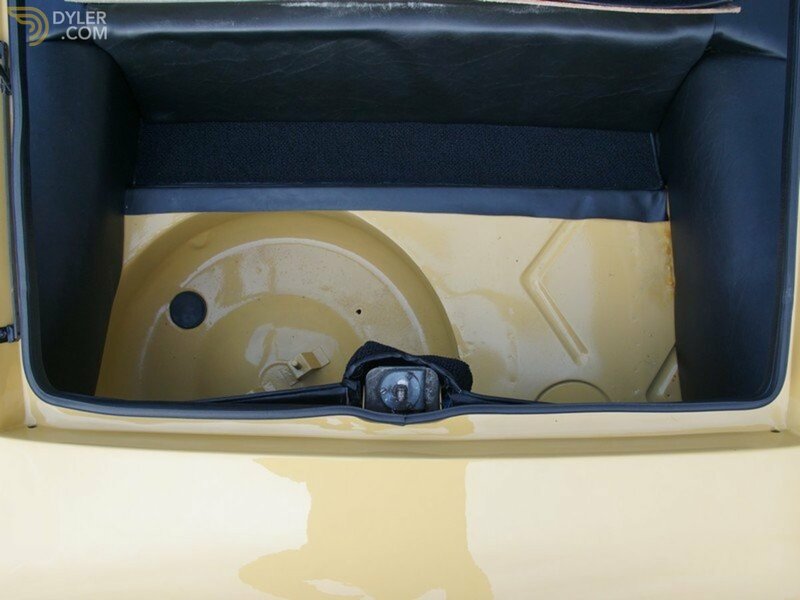 The rust-free underbody is in as good as new state and colour-coded. 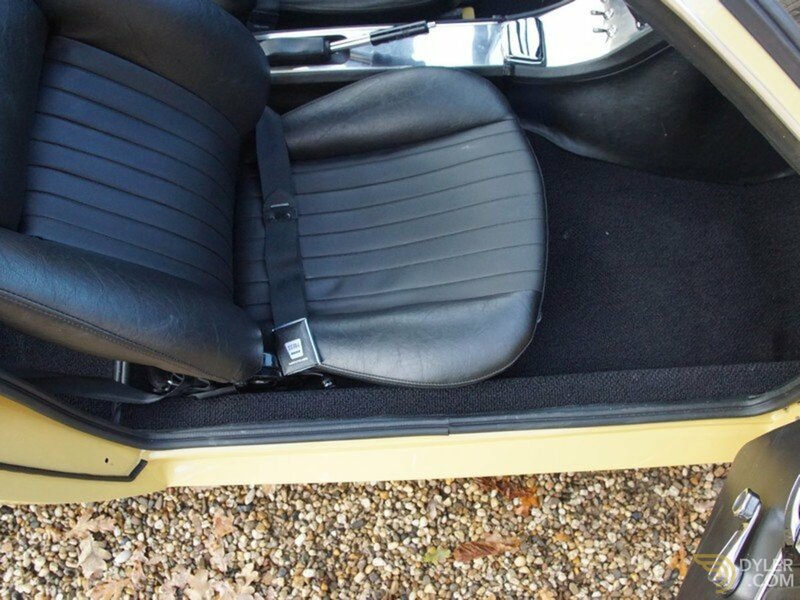 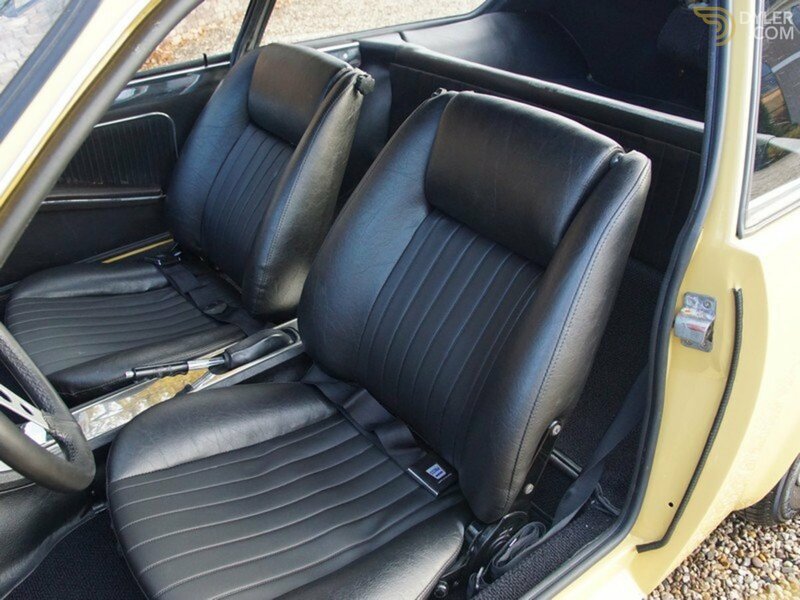 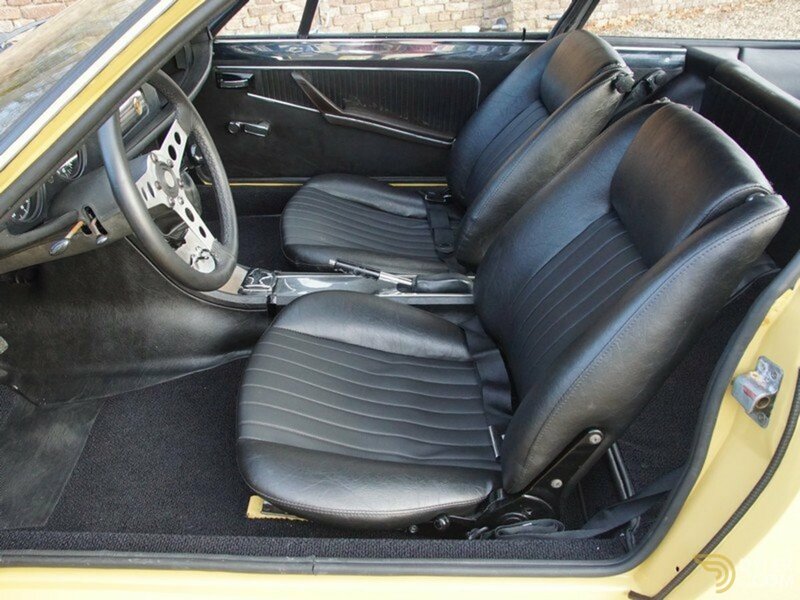 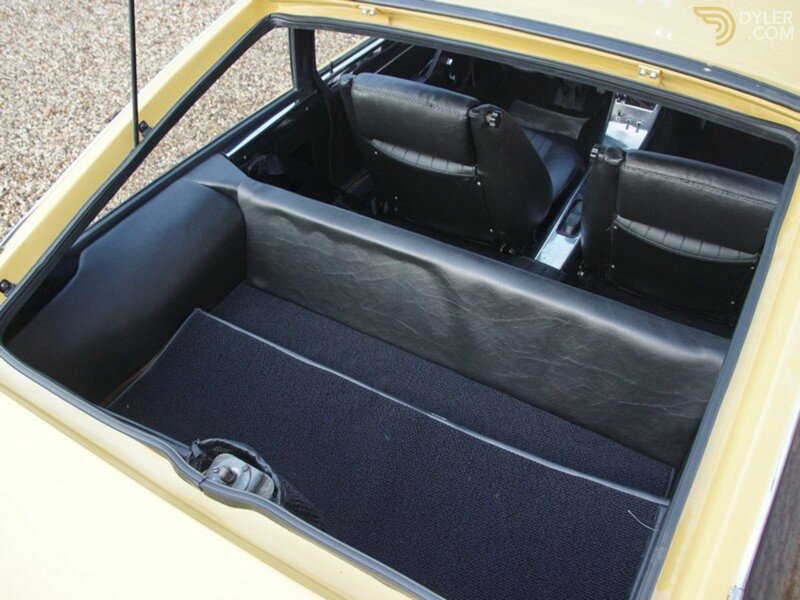 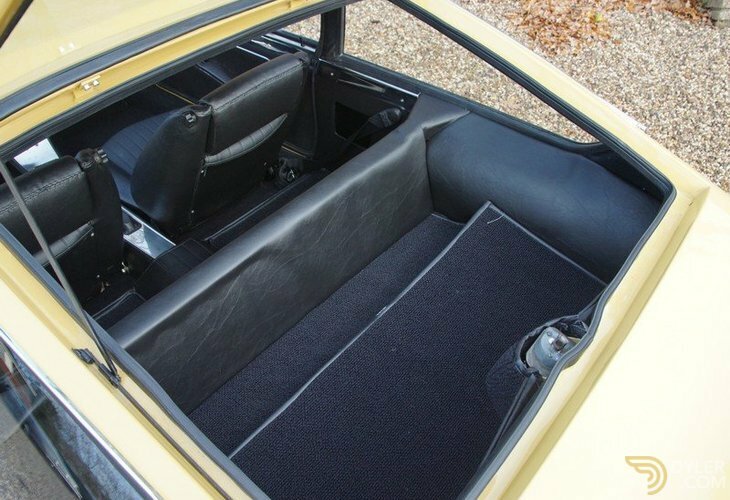 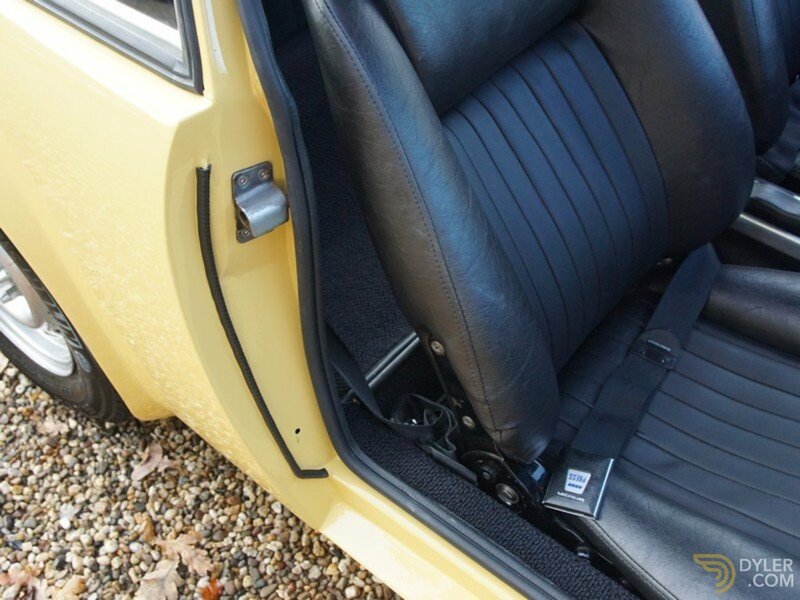 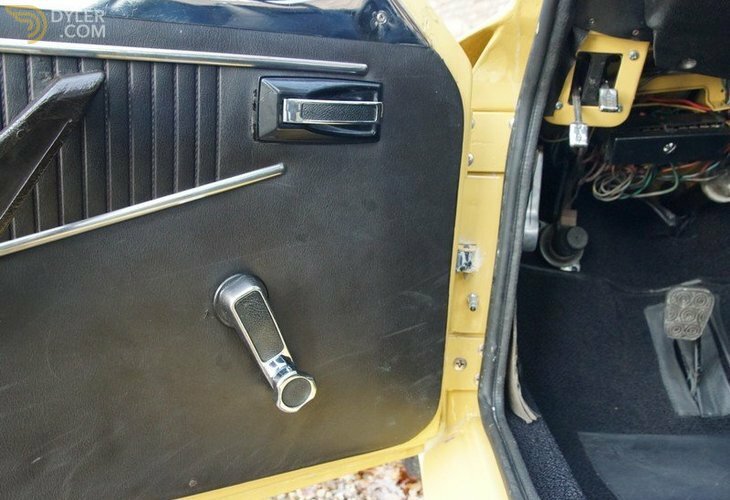 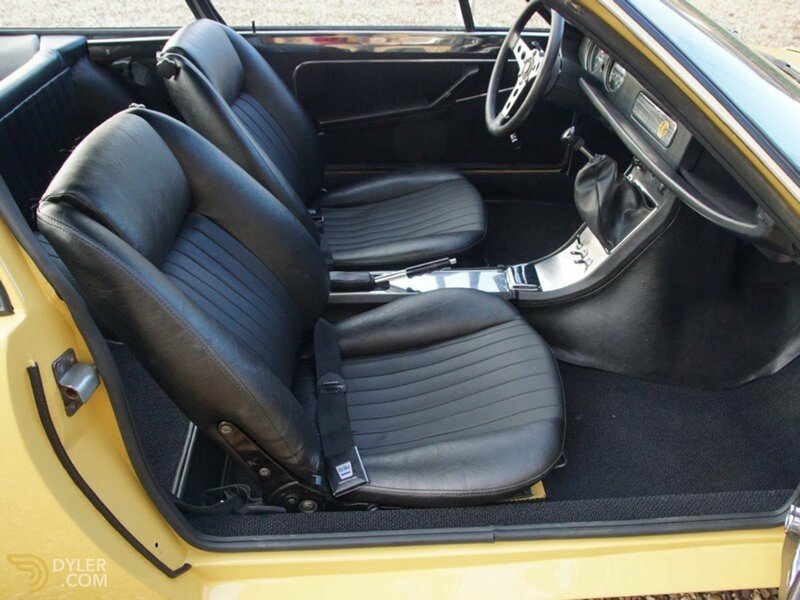 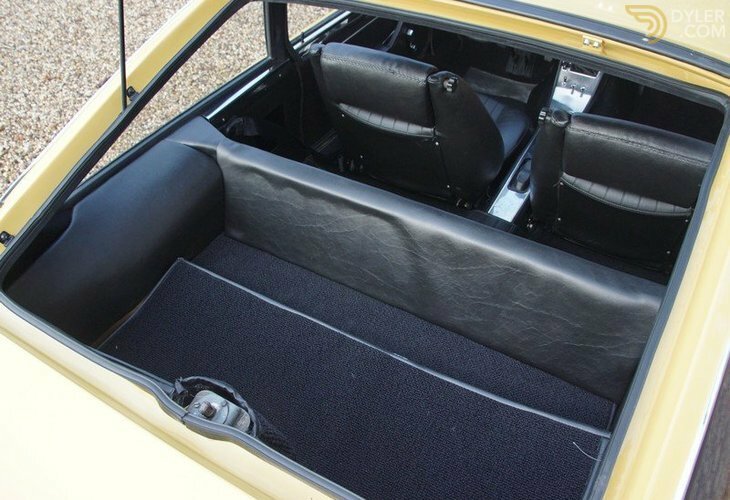 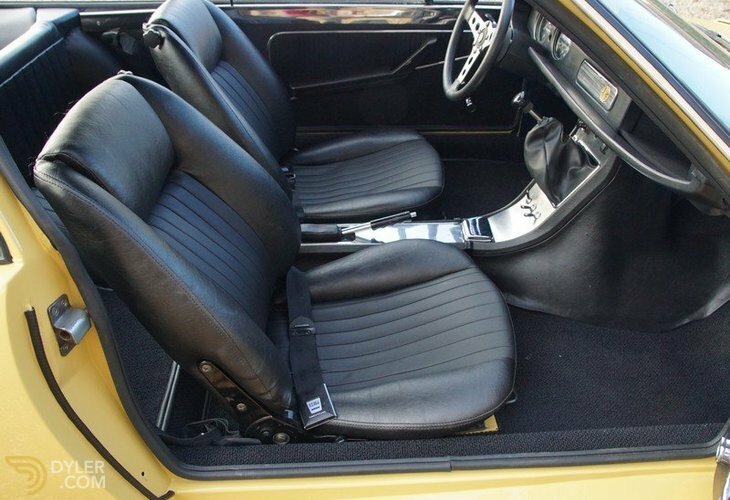 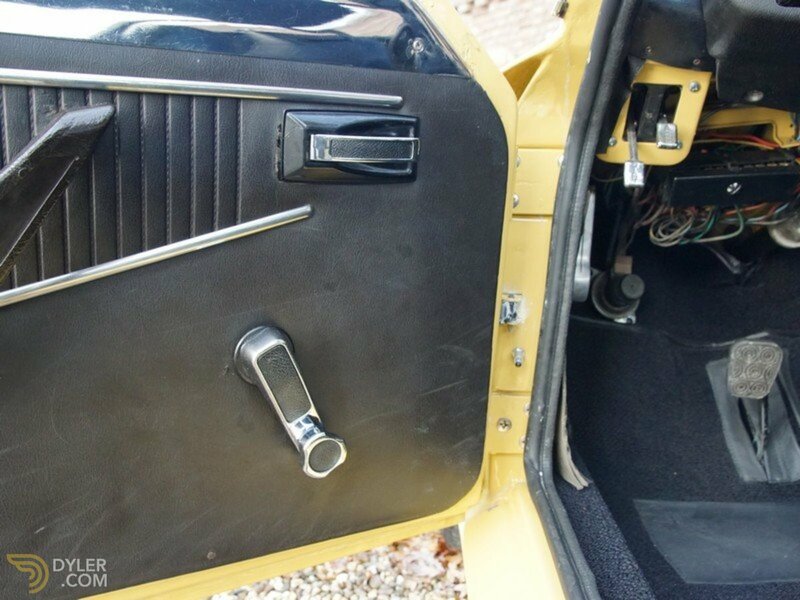 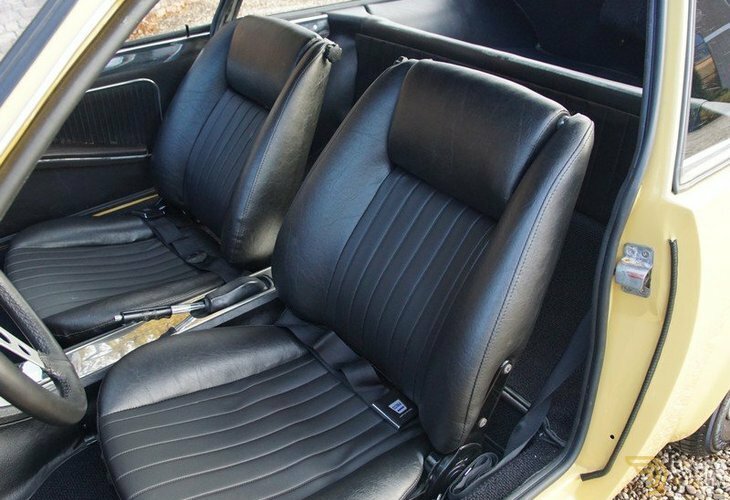 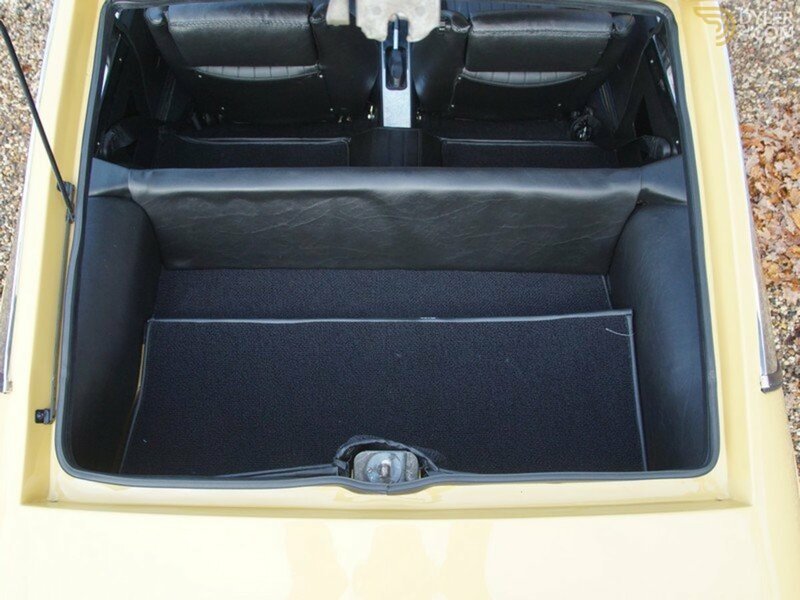 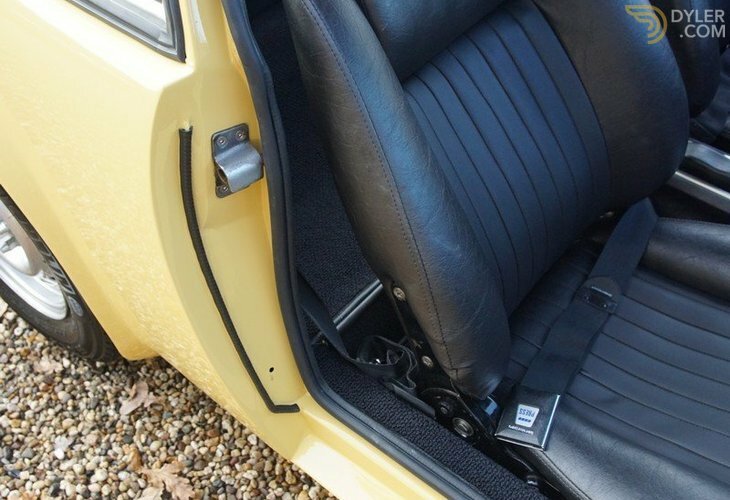 The interior trim is also pristine! 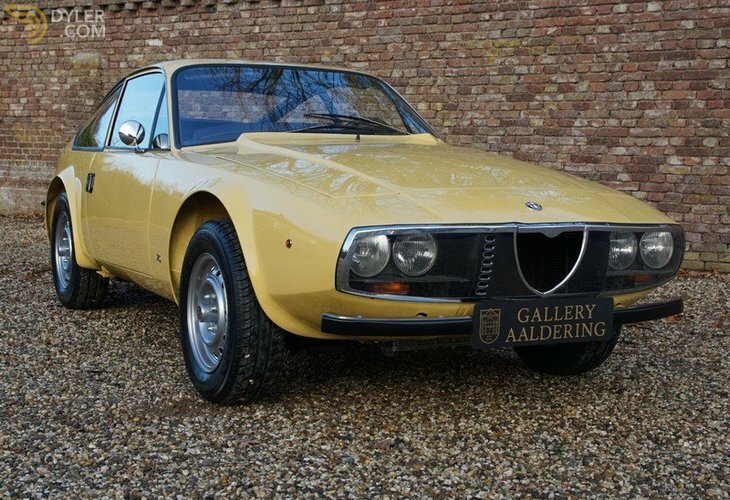 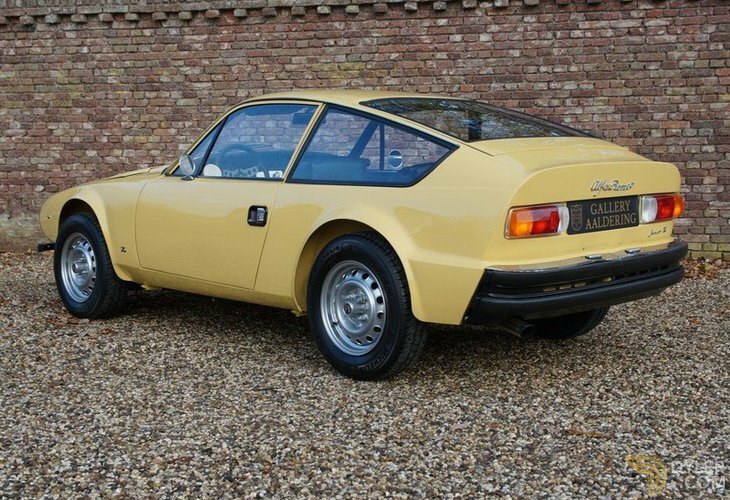 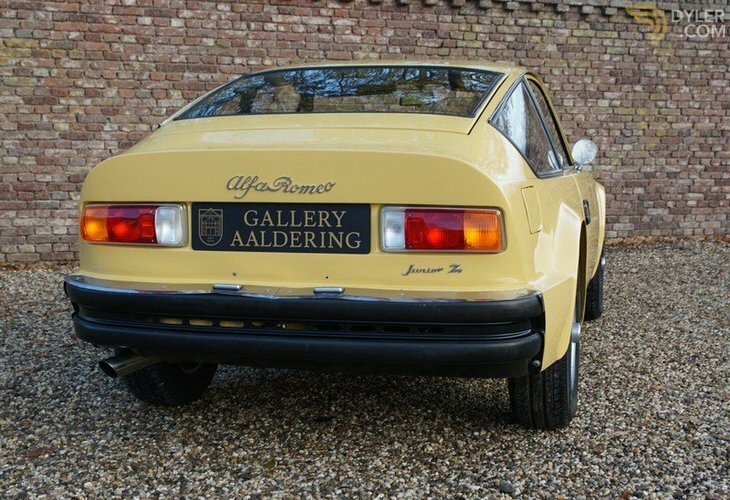 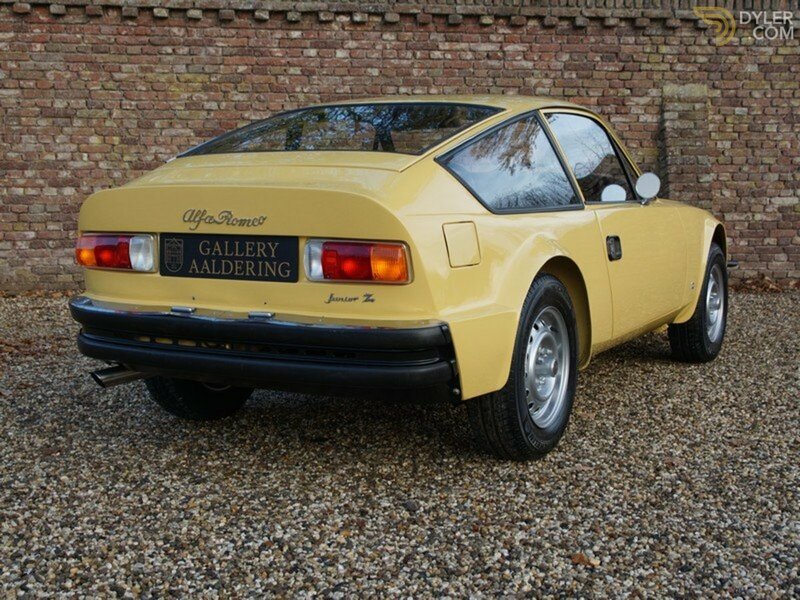 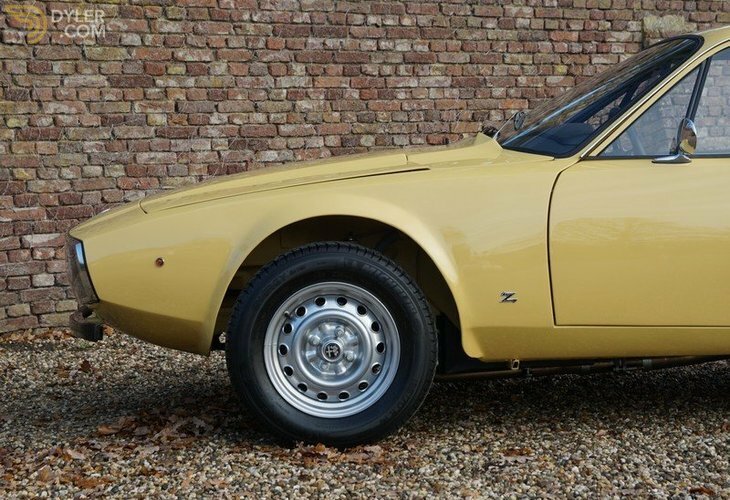 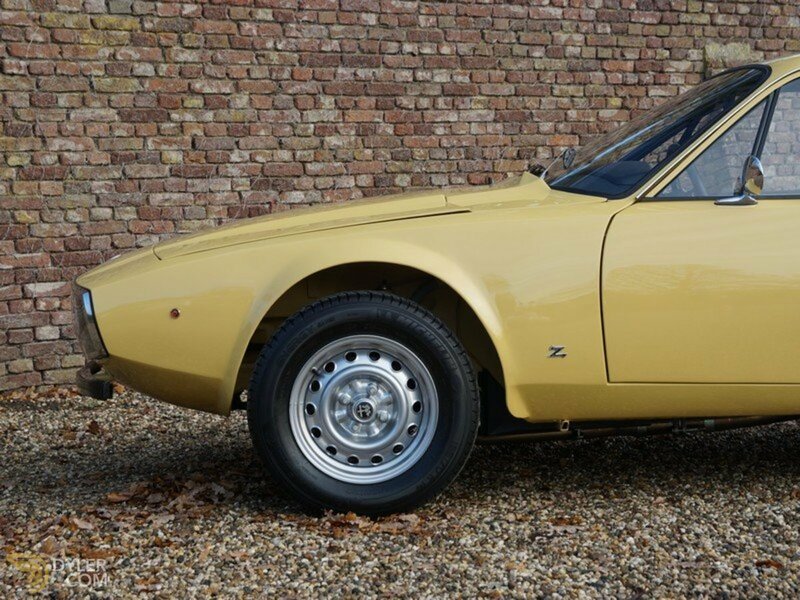 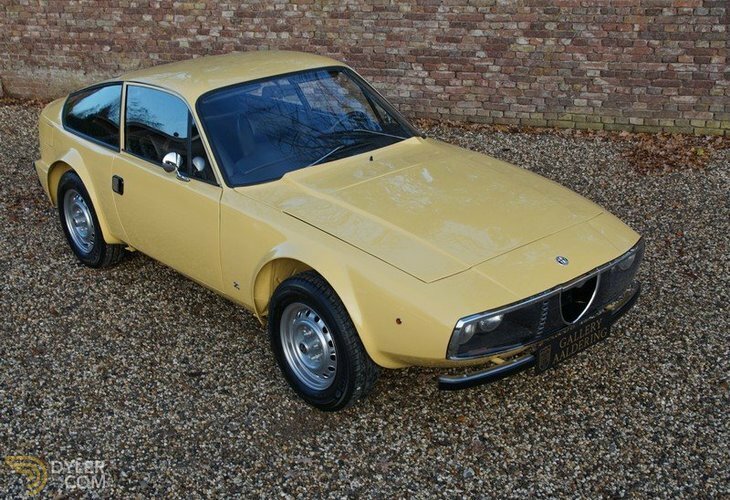 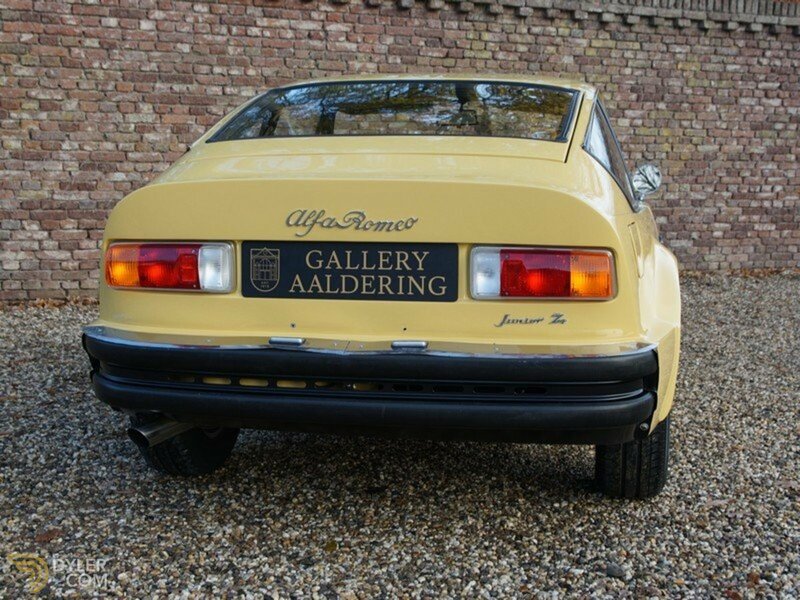 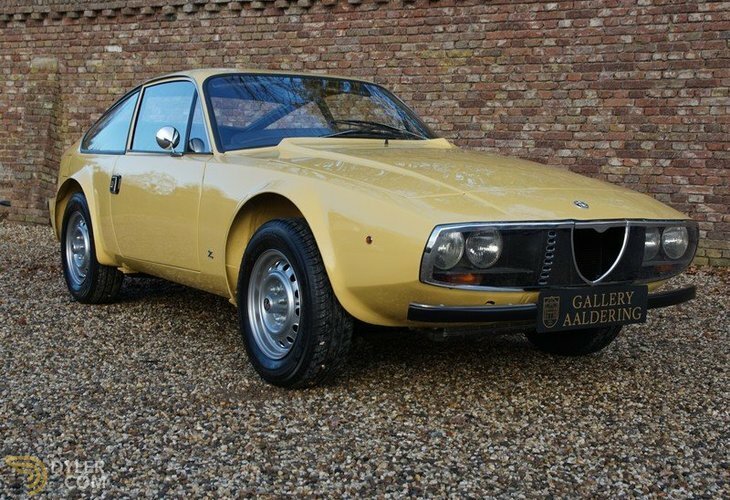 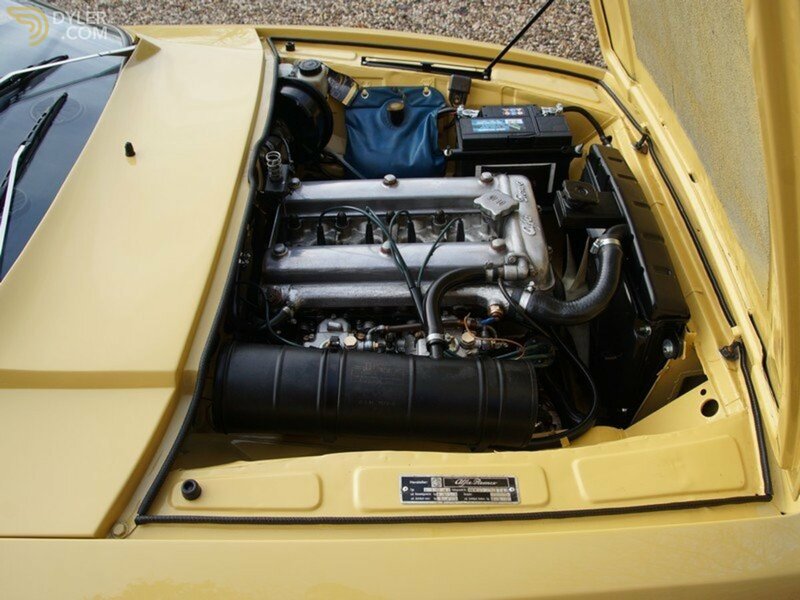 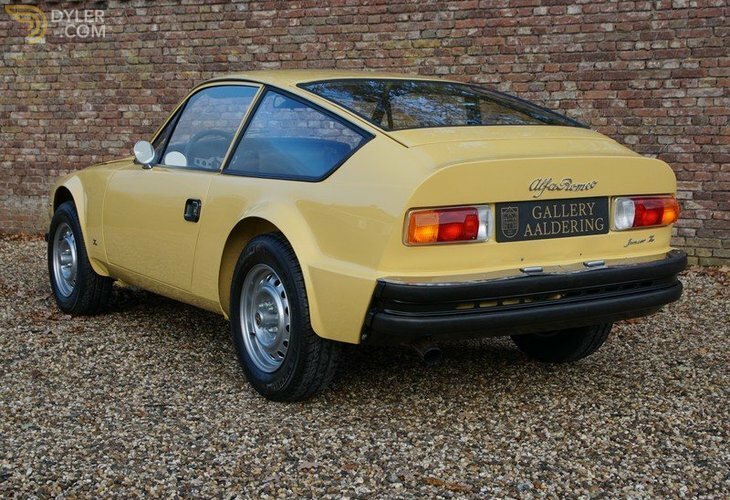 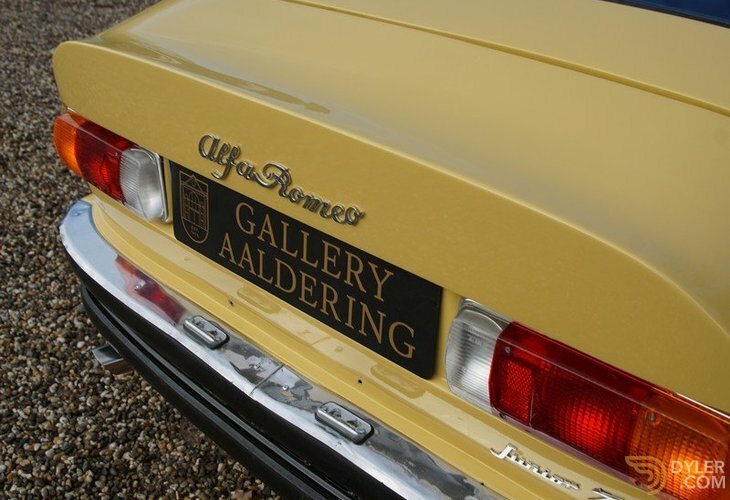 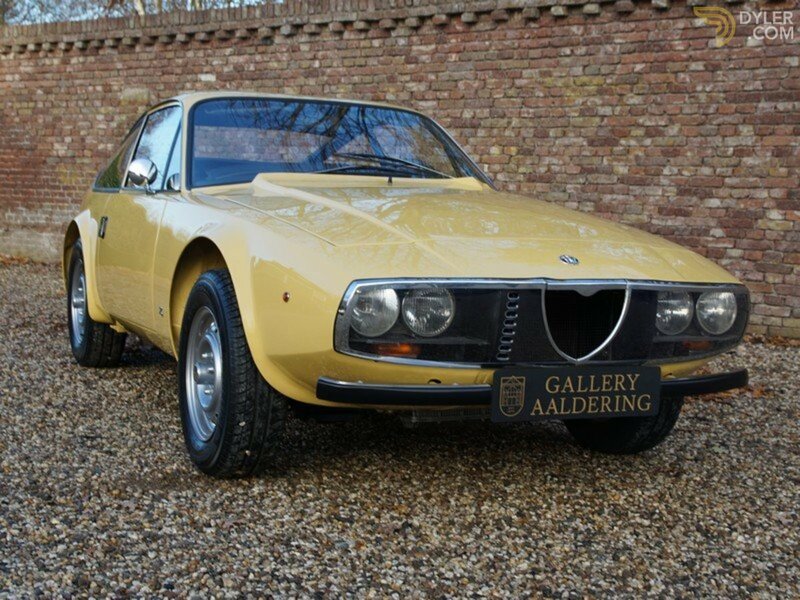 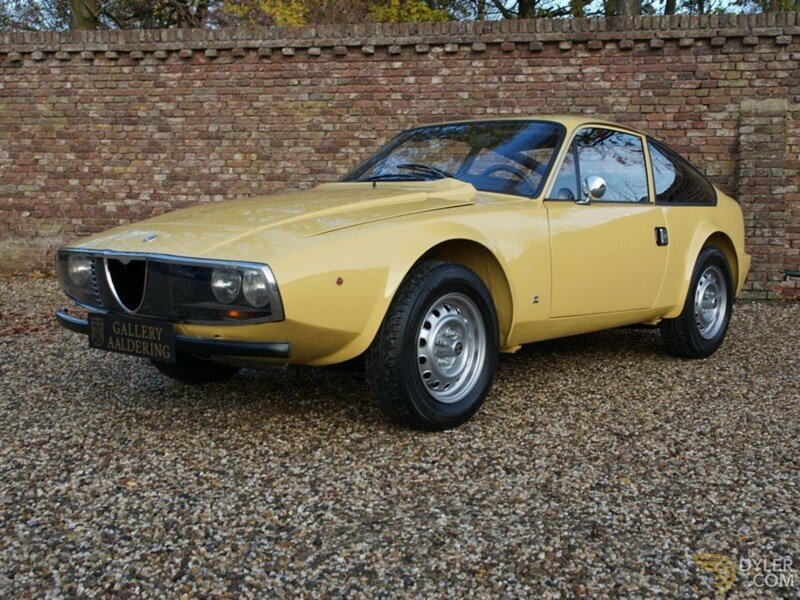 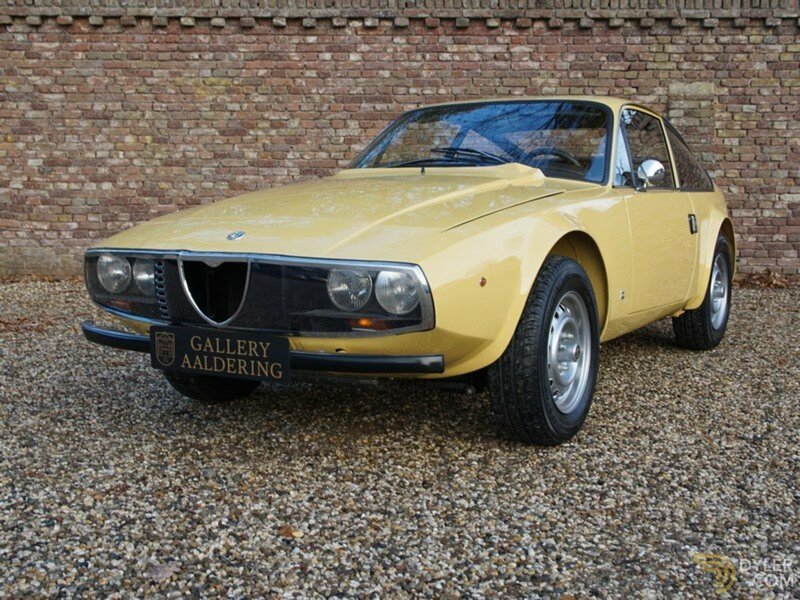 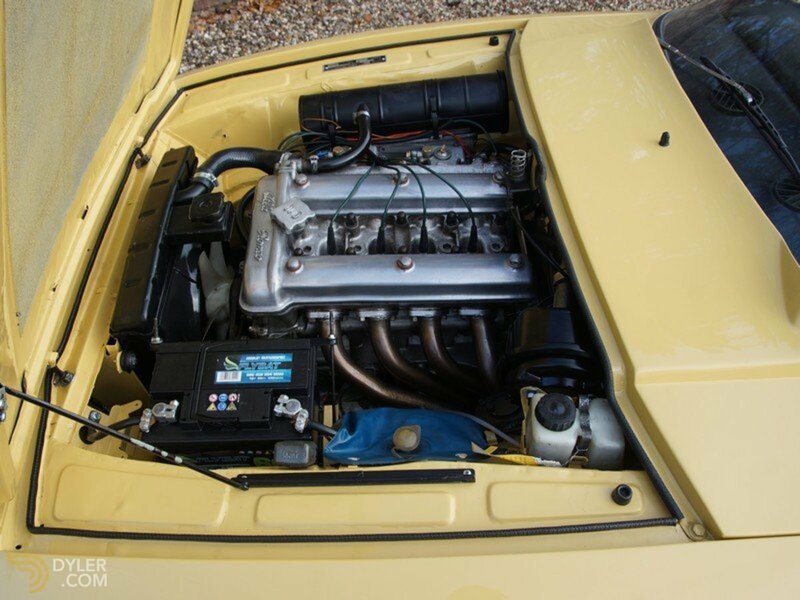 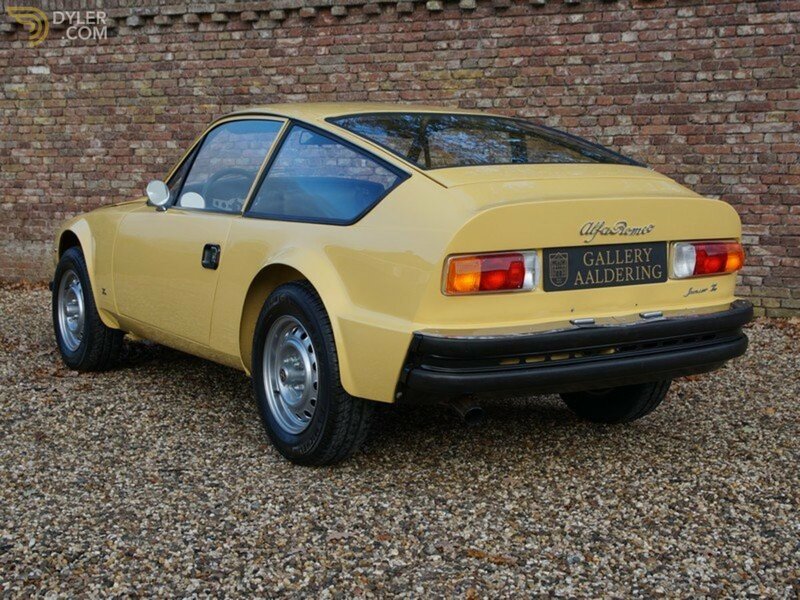 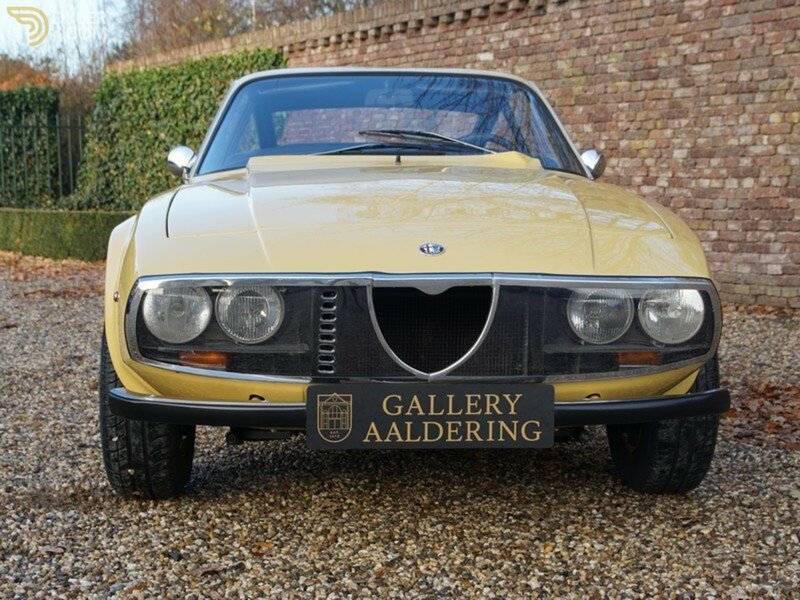 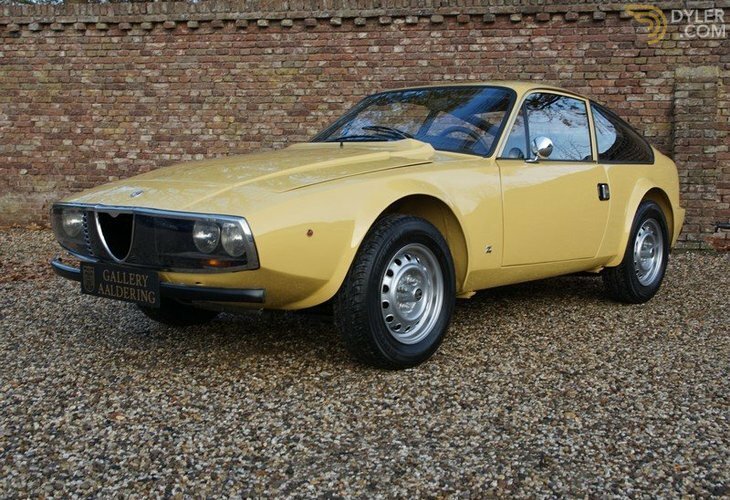 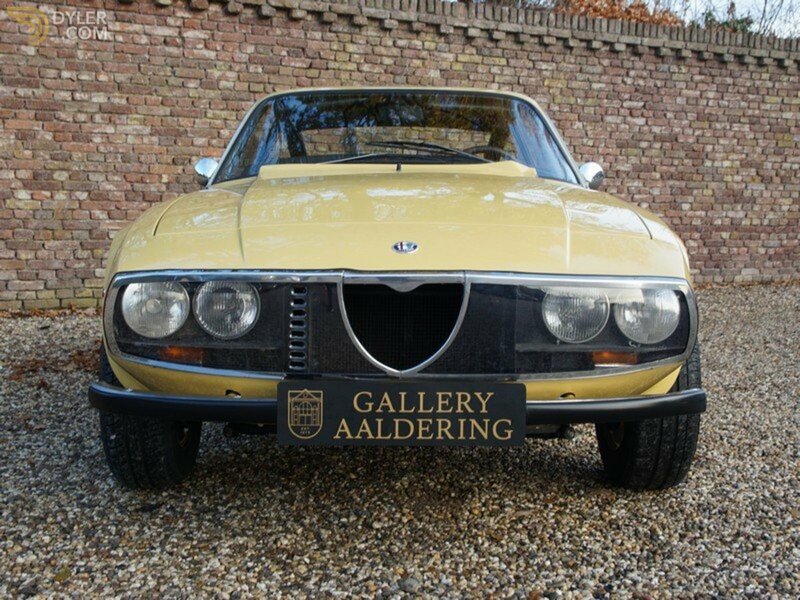 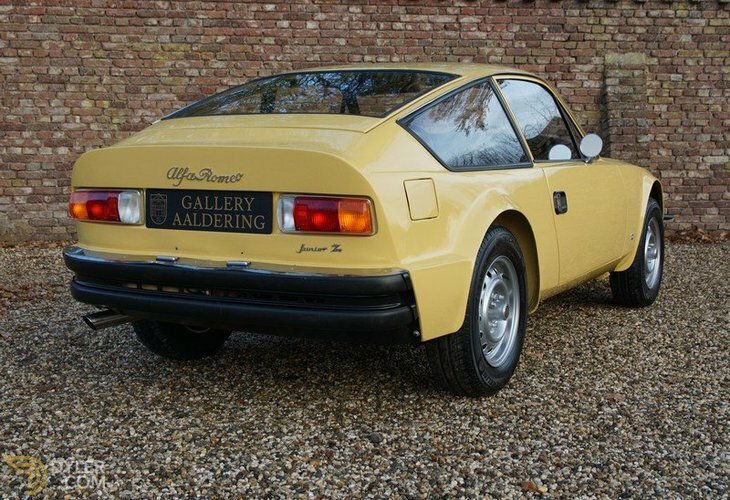 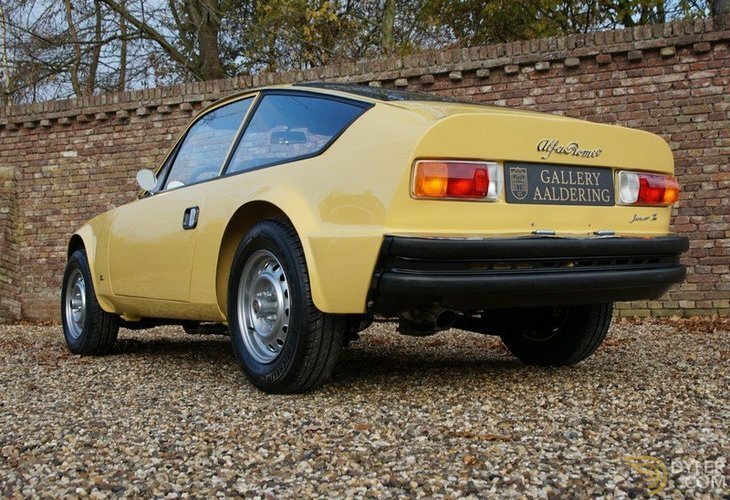 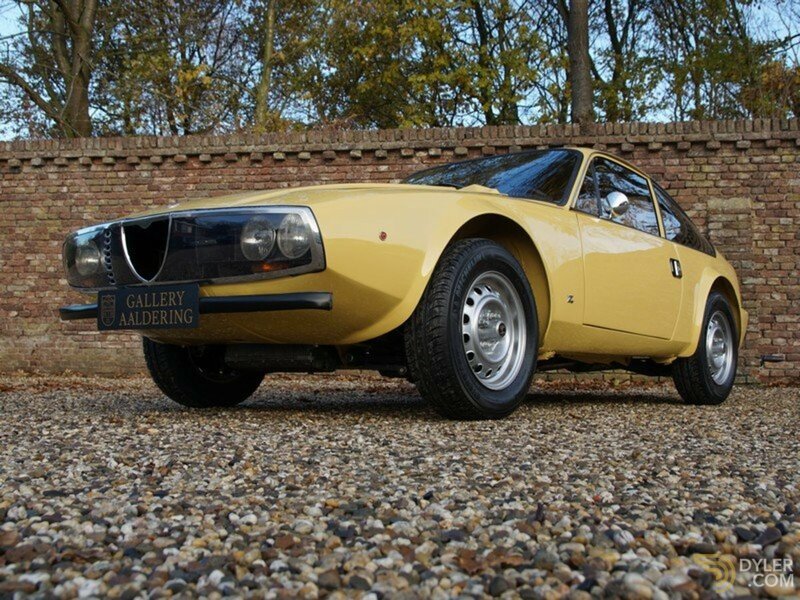 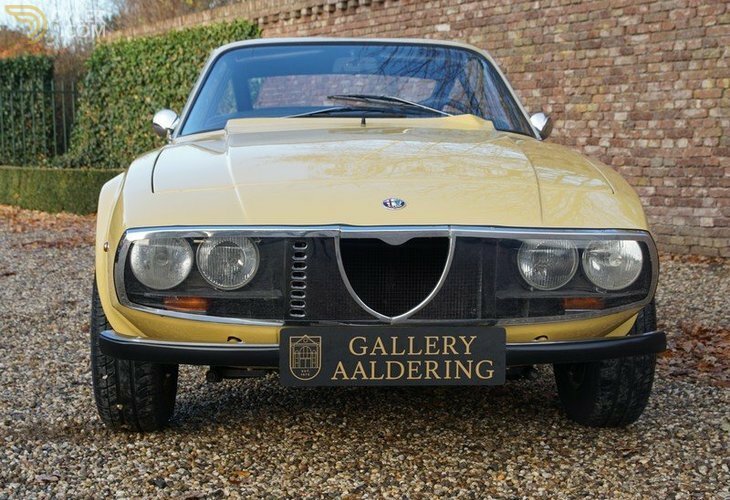 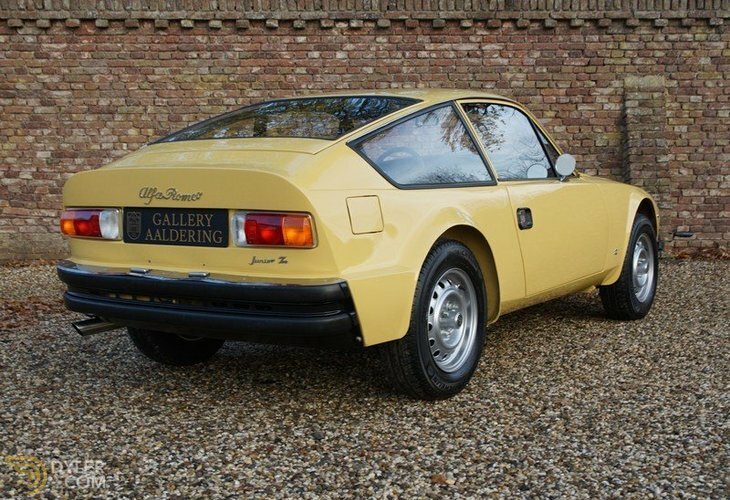 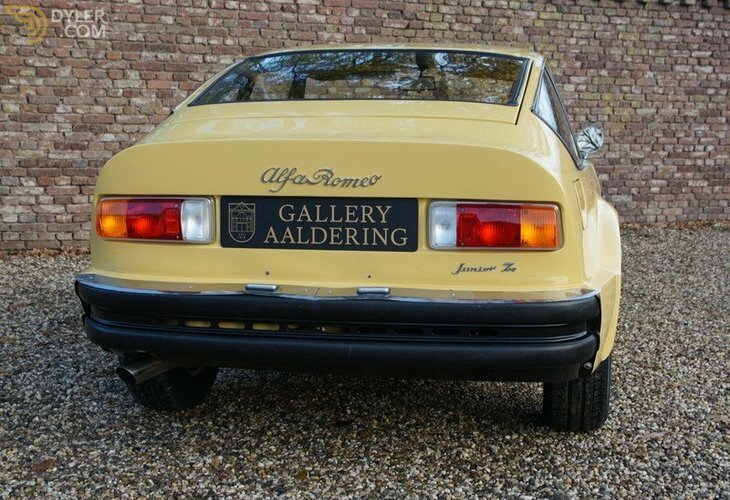 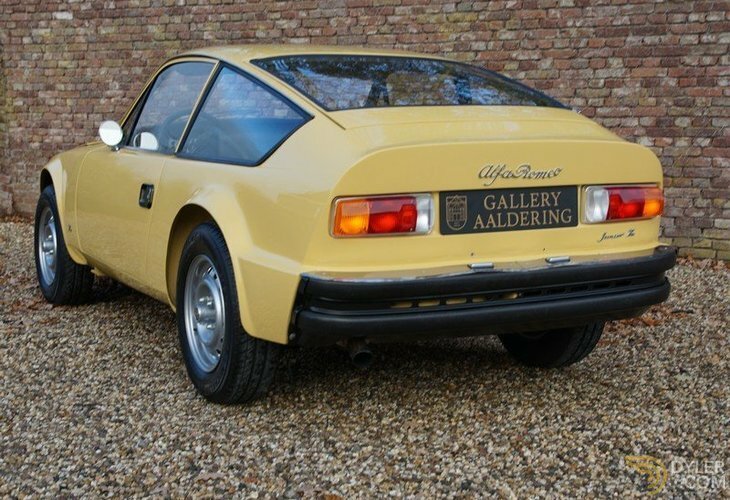 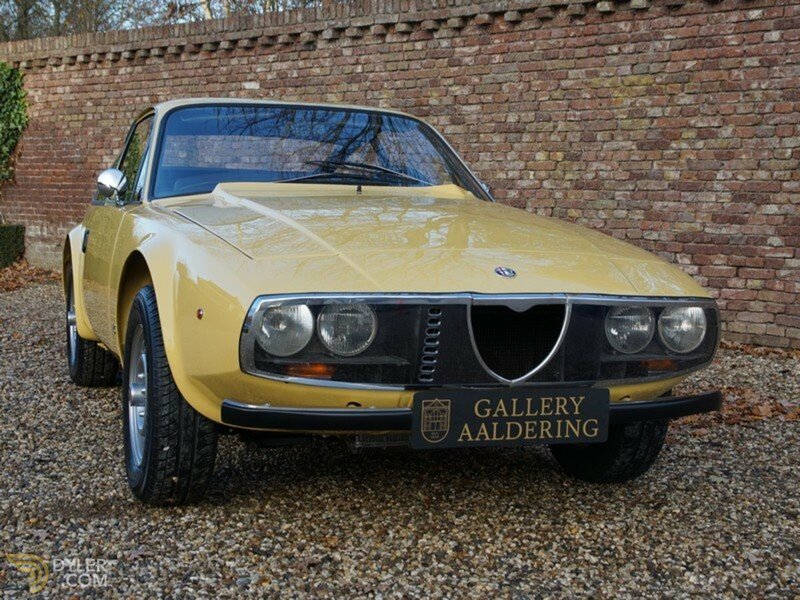 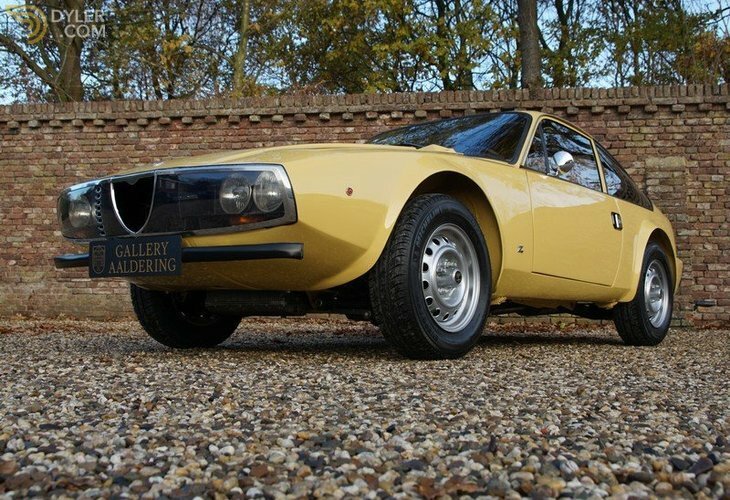 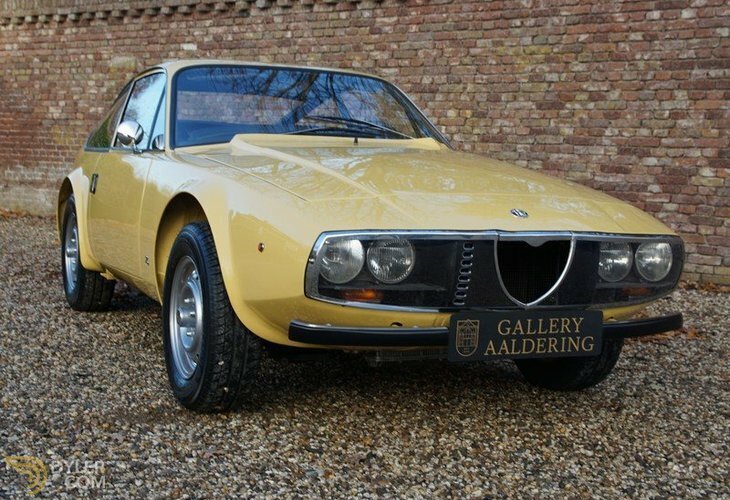 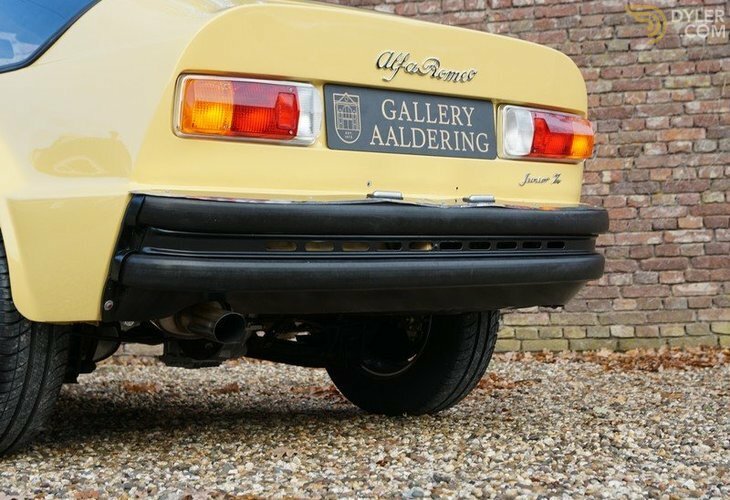 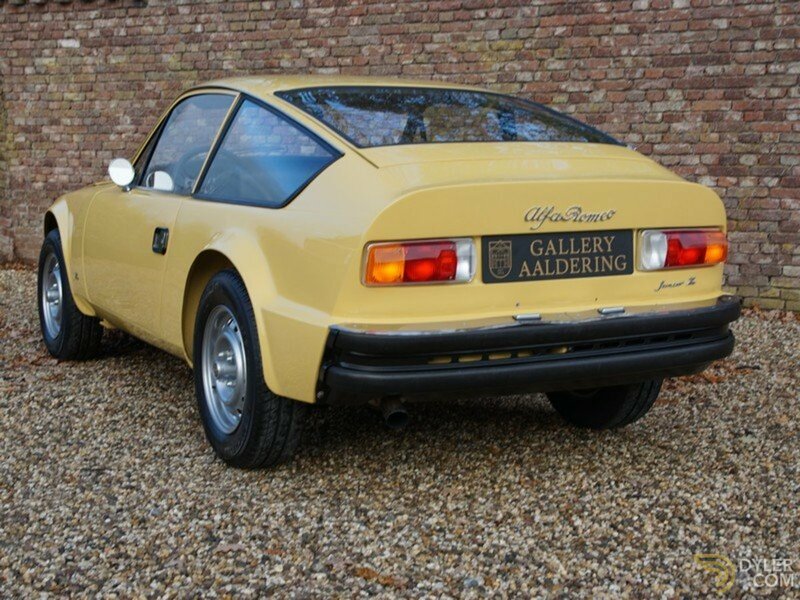 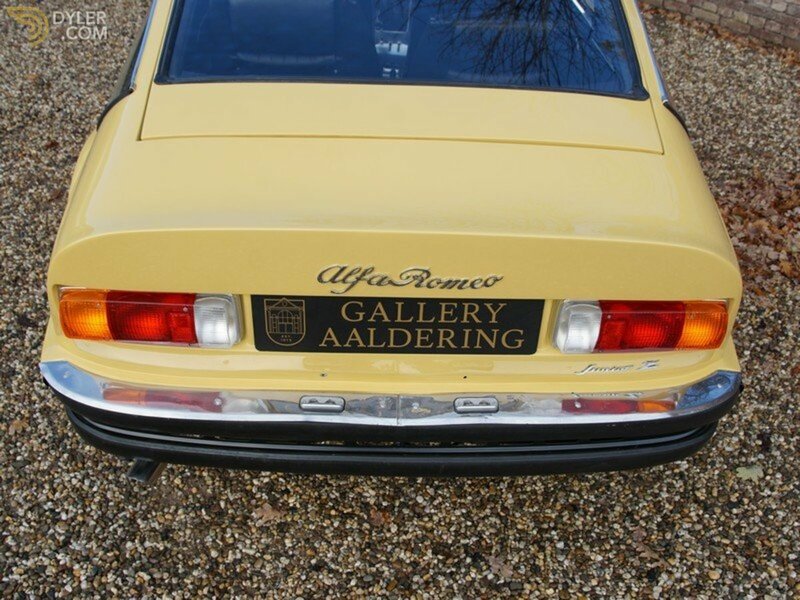 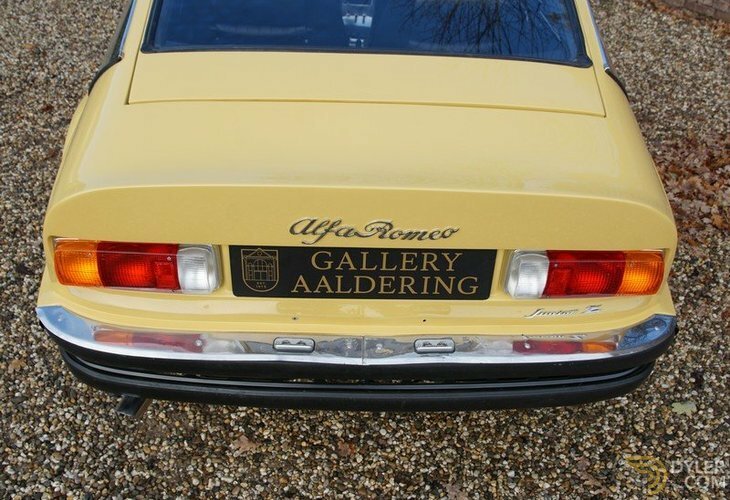 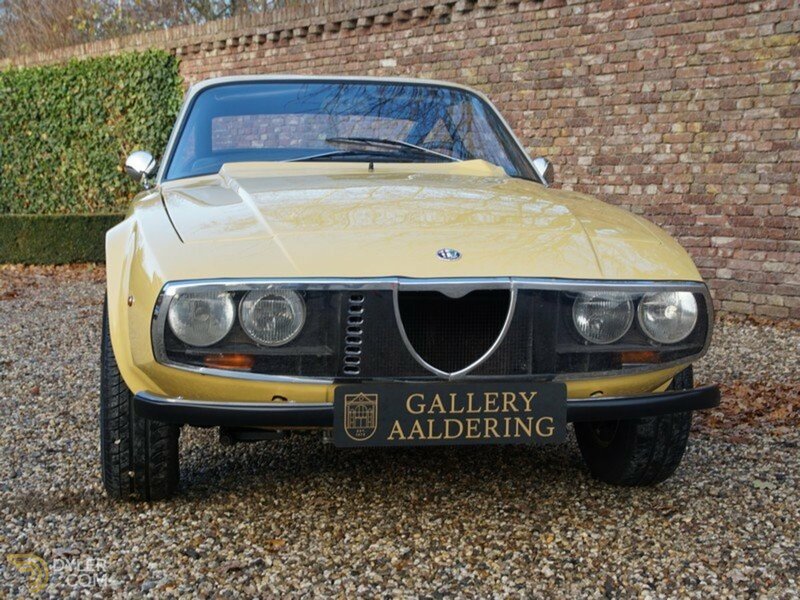 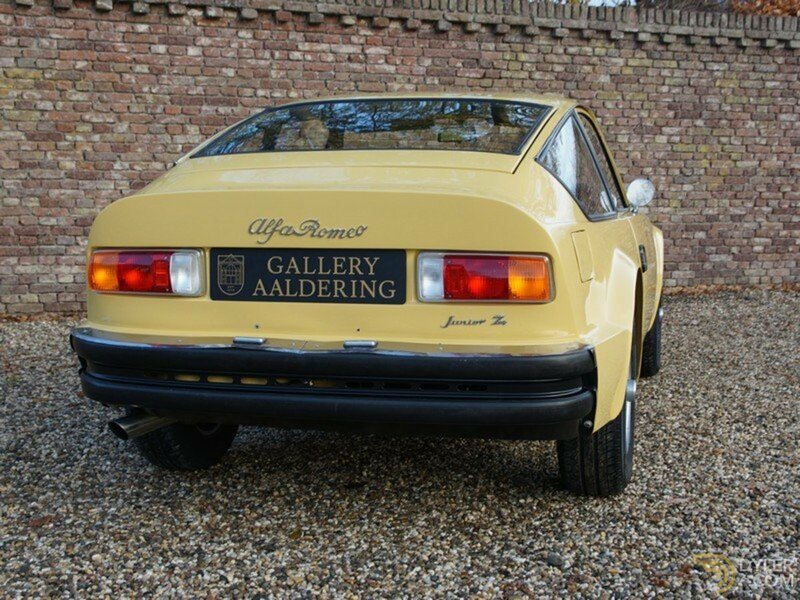 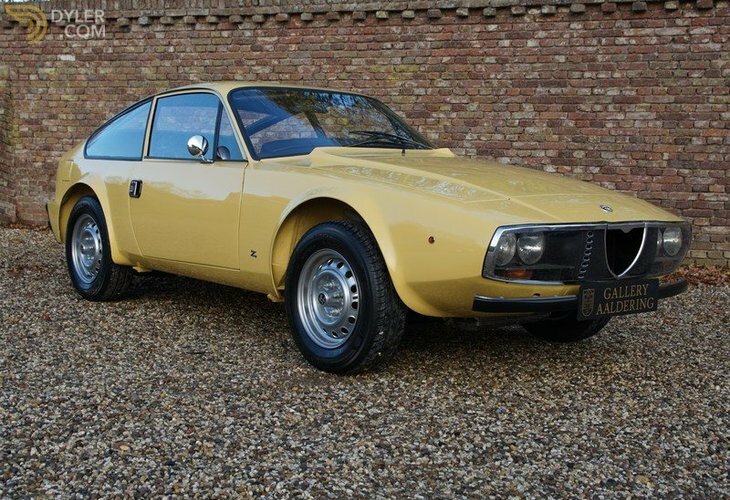 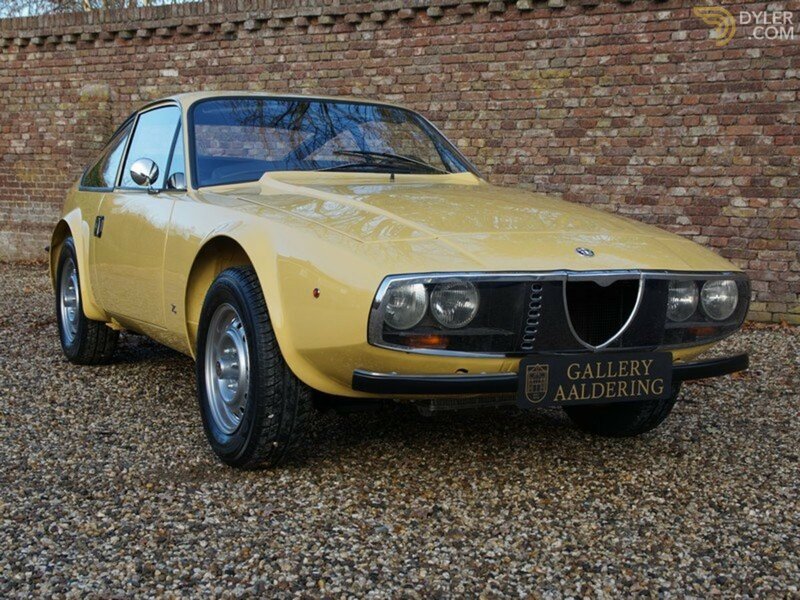 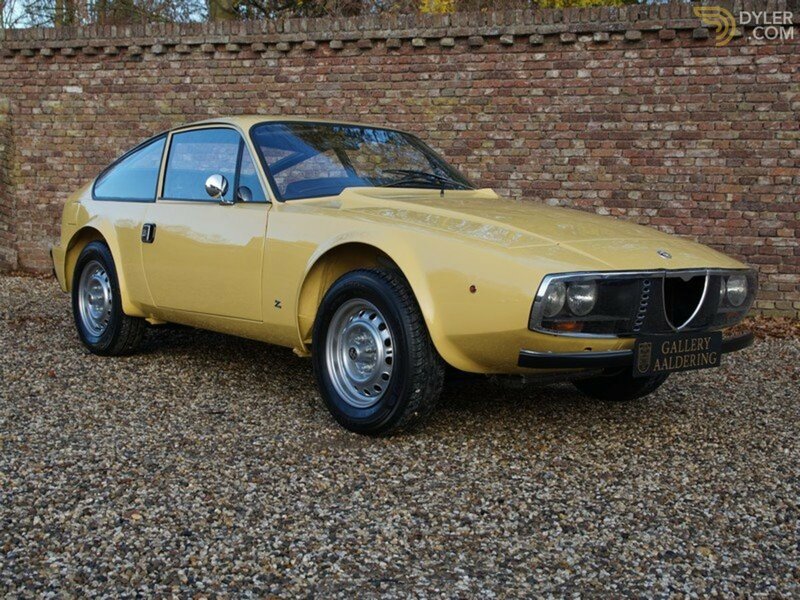 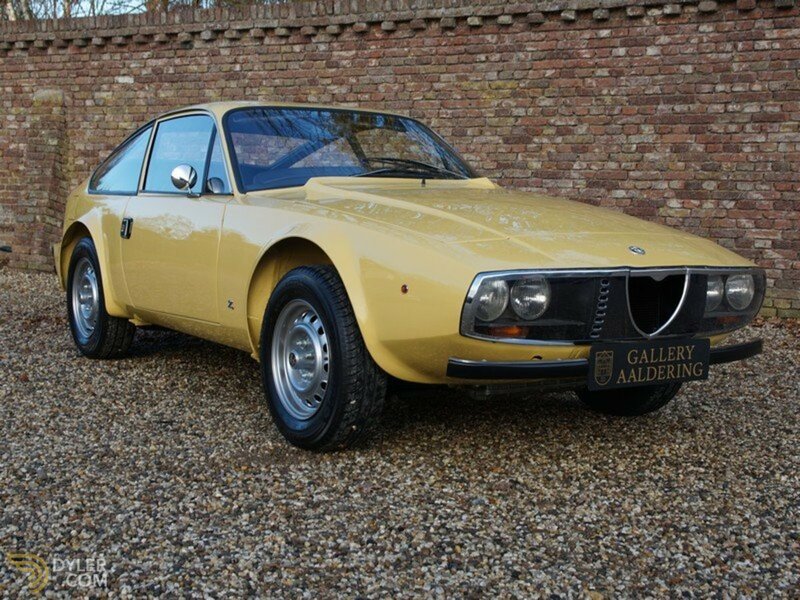 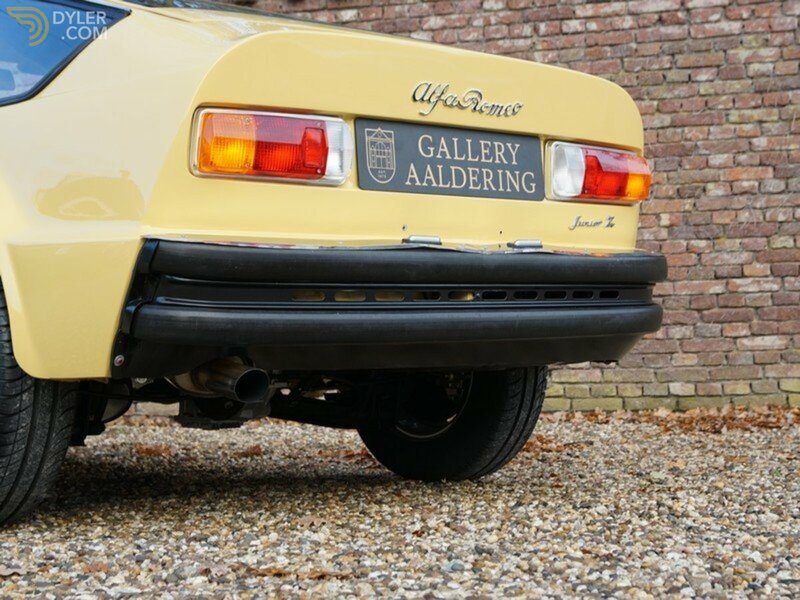 An Alfa Romeo Zagato is unique, especially in such an outstanding condition with a fantastic provenance!